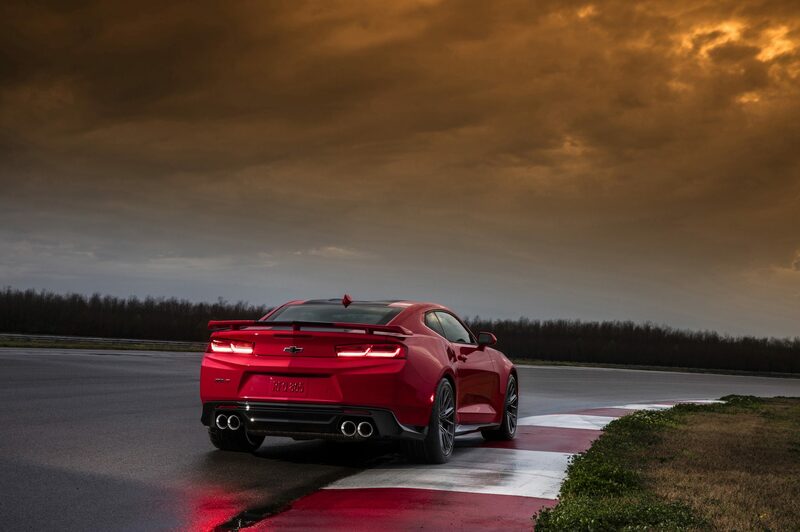 Fortunately, we live through it. 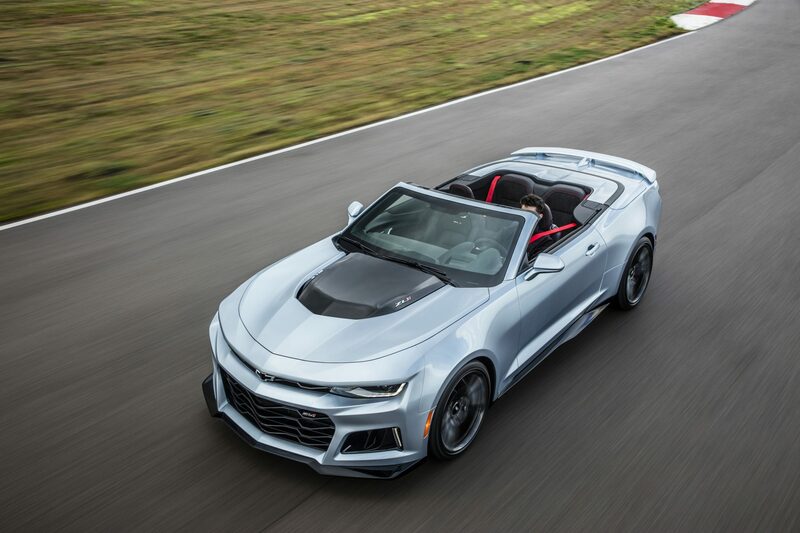 Who knew that the president of General Motors has an SCCA club-racing license from his days of pedaling a Porsche 914 on tracks around the Midwest? 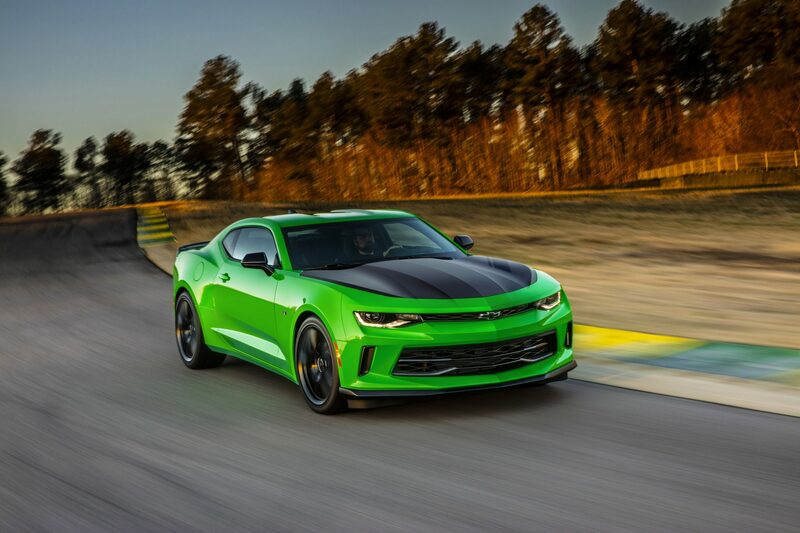 Ammann hammers apexes like a pro, and the 2017 ZL1 hooks up at the exits with barely a sideways wiggle. 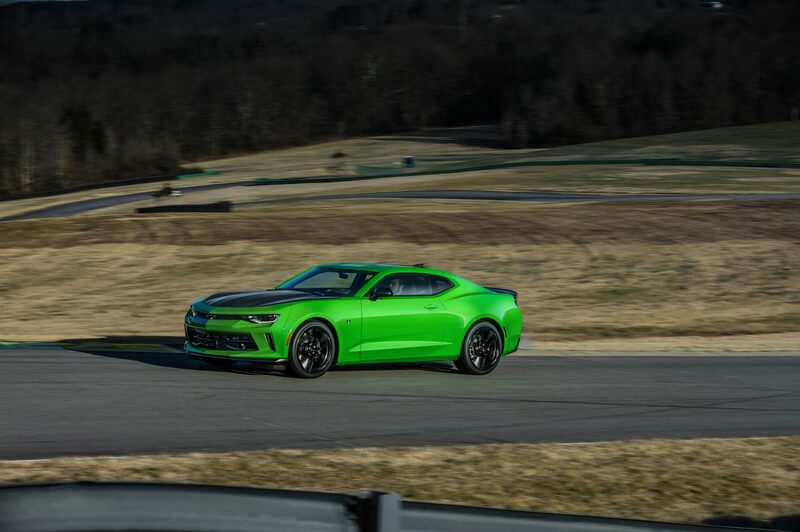 It turns out that Ammann has been personally following this car throughout its development with drives in places like the proving grounds in Yuma, Arizona, the handling circuit at the GM test facility in Milford, Michigan, and even the Nürburgring. 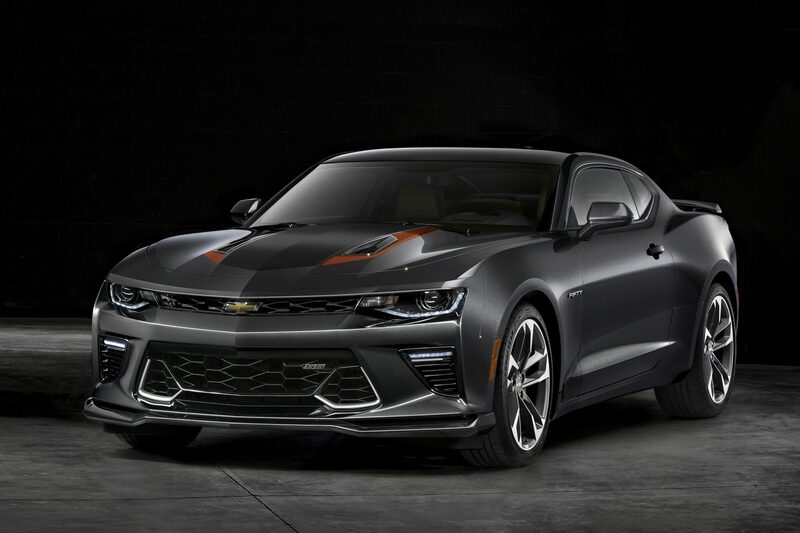 The 2017 Chevrolet Camaro ZL1 is the expected follow up to the ZL1 version of the previous, fifth-generation Camaro that was introduced in 2012. 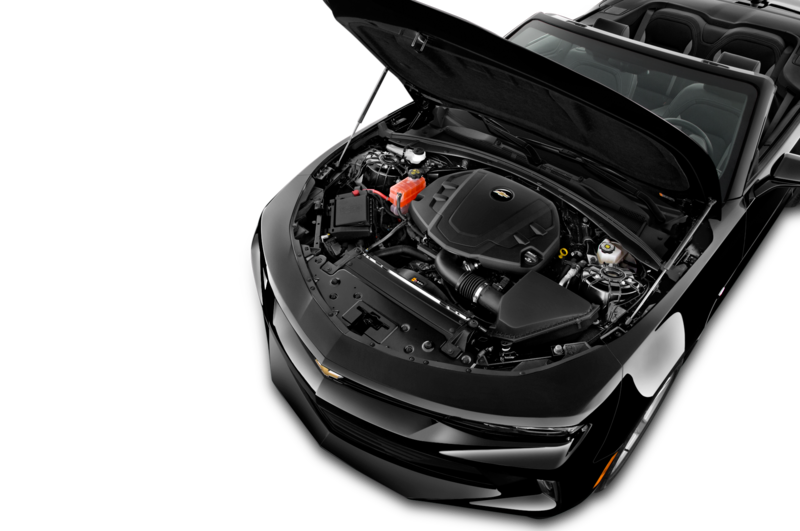 The centerpiece of the car is its supercharged, 6.2-liter LT4 V-8, with its cast-aluminum block and heads, forged-steel crankshaft, forged-aluminum pistons, four-lobe Eaton supercharger, and air-to-water intercooler. 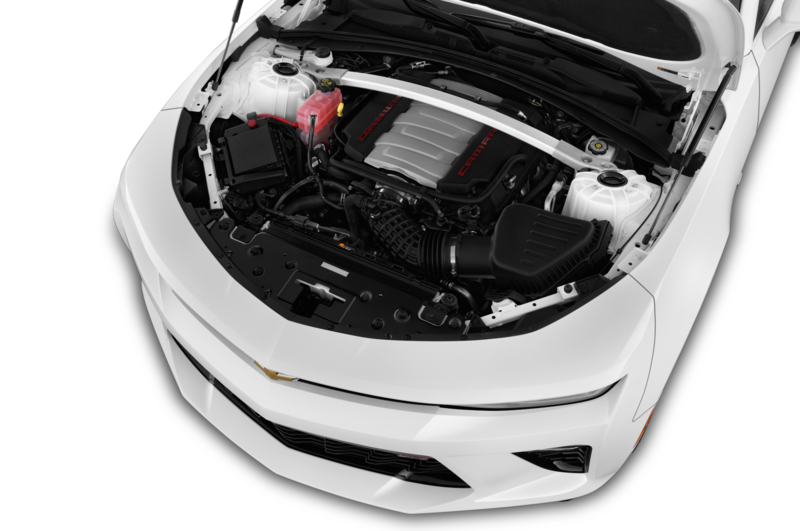 When installed in the Corvette Z06, the dry-sump engine is rated at 650 hp @ 6,400 rpm and 650 lb-ft of torque at 3,600 rpm, and we’re promised that the Camaro ZL1 version will produce about 640 hp and 640 lb-ft.
As you’d expect, a Tremec manual transmission will be available to send all this power to the rear wheels, and personally we relish the mechanical, bolt-action feel of the Tremec shift linkage, since it’s always clear whether you’ve got the shift lever in gear or not. 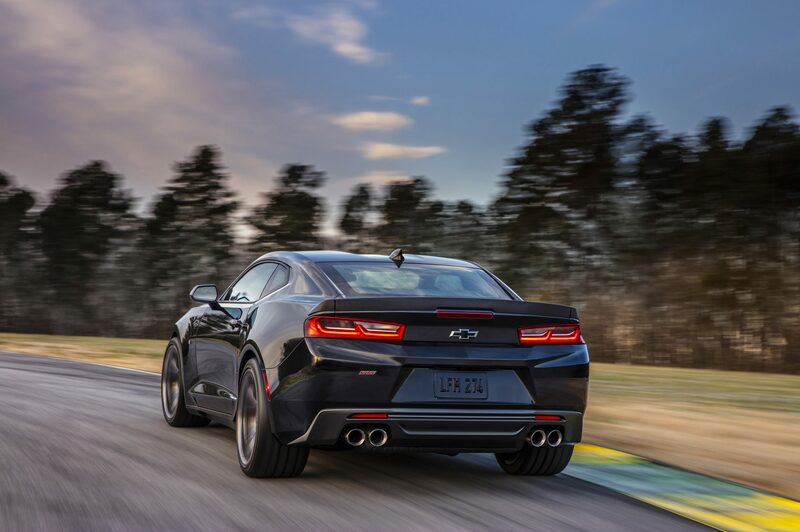 This is an especially important sensation when you’re traveling at speeds of which a 650-hp automobile is capable. 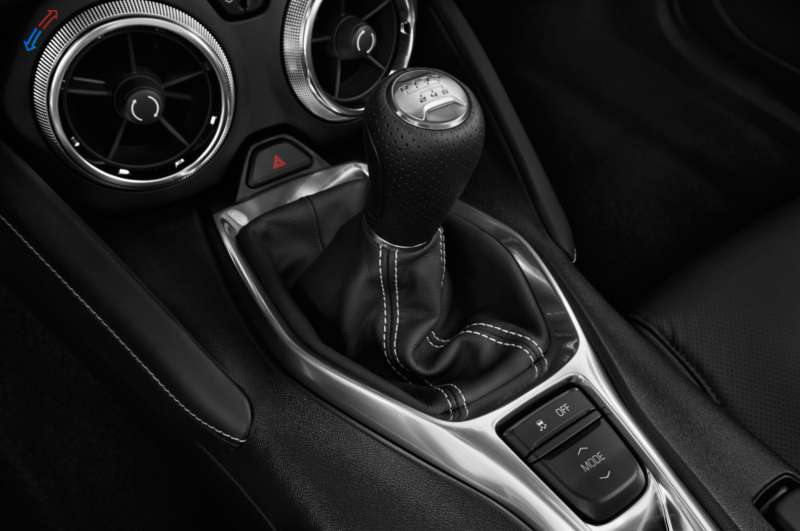 The gearbox ratios will be split to deliver overdrive only in sixth gear, not both fifth and sixth gear as is the convention for most cars. 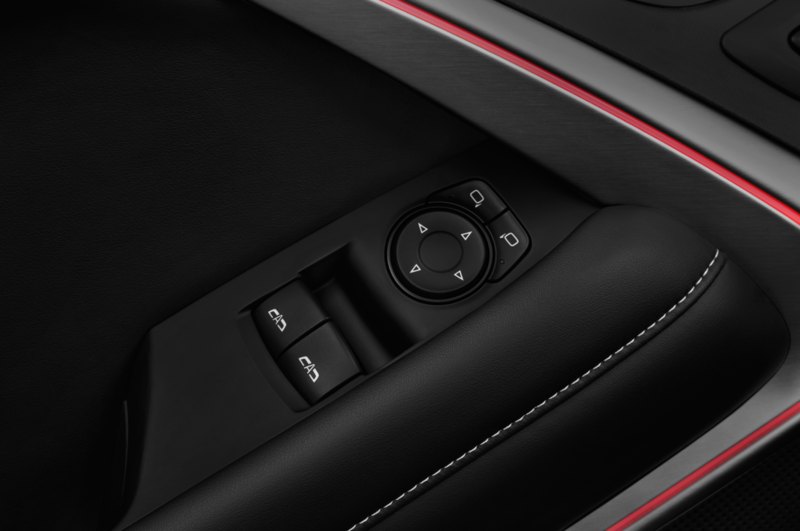 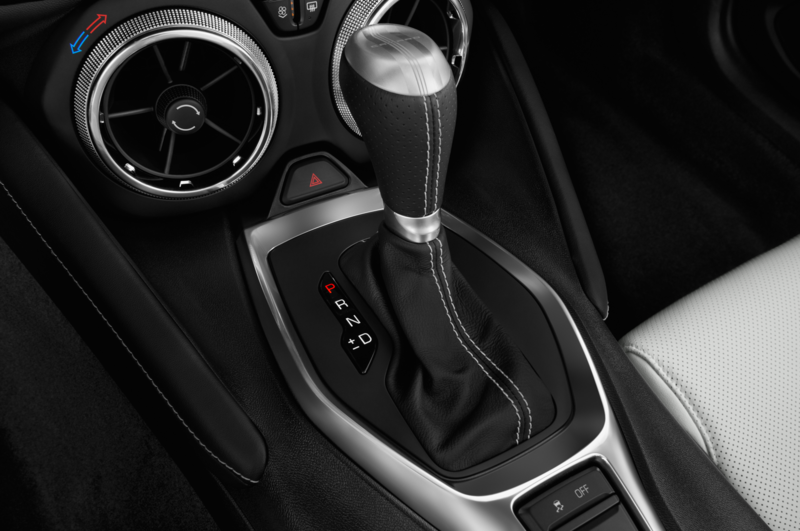 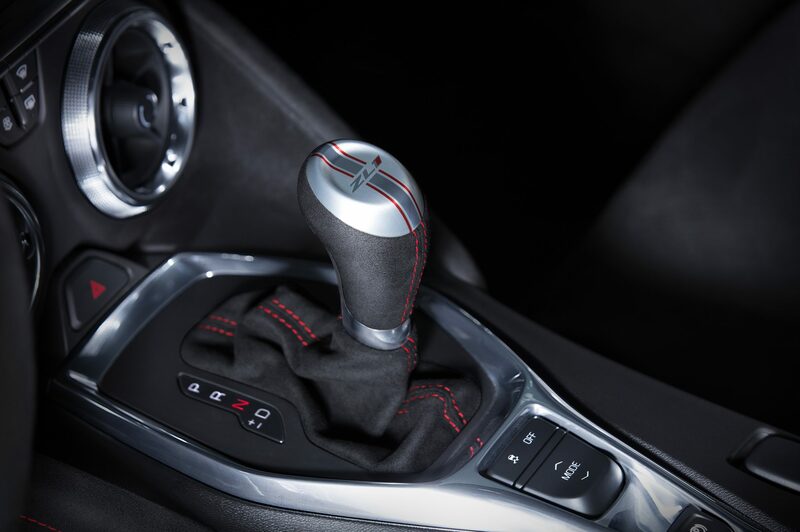 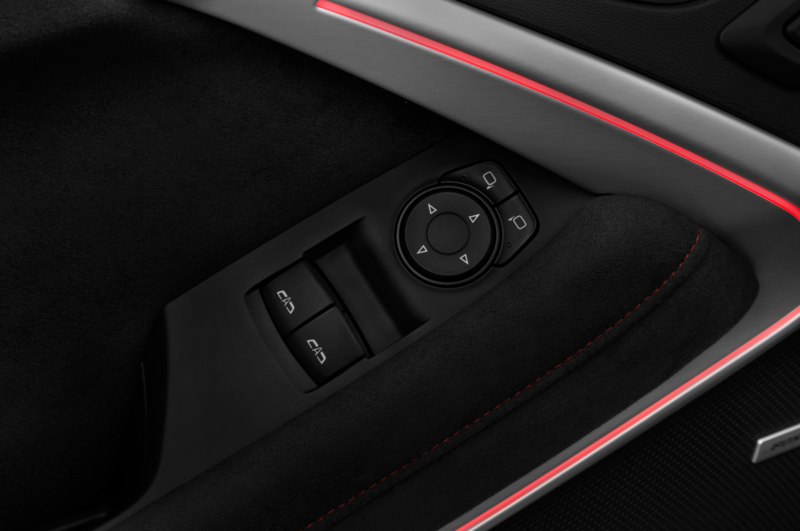 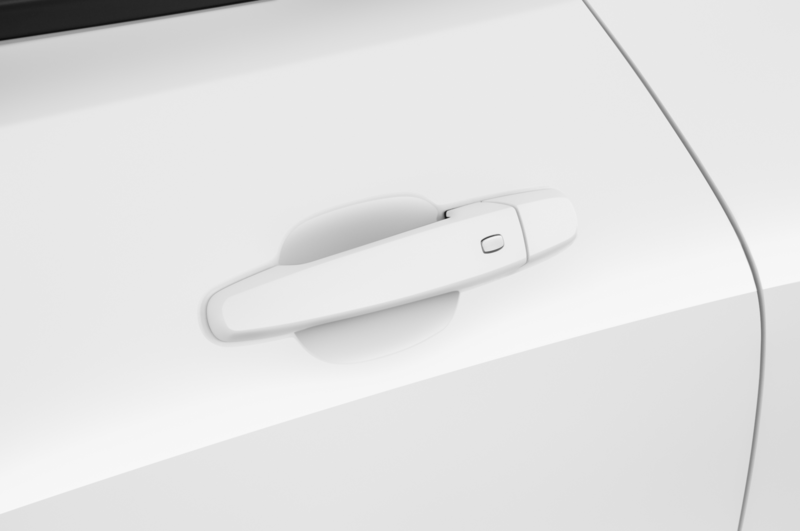 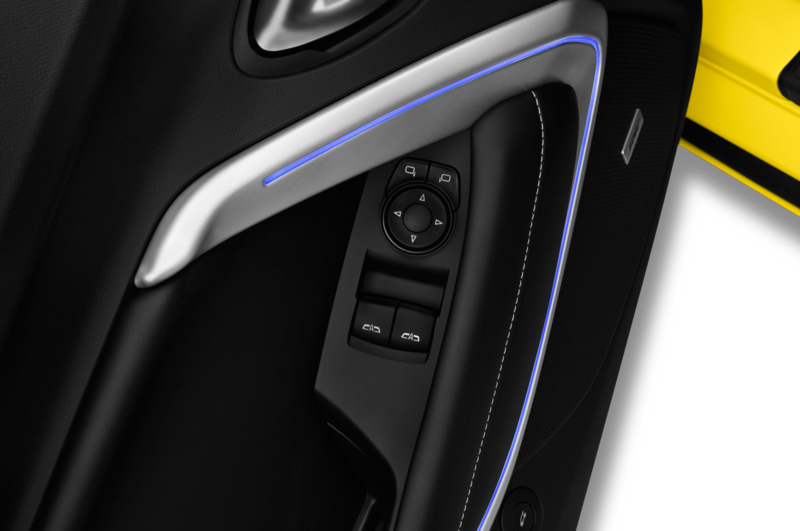 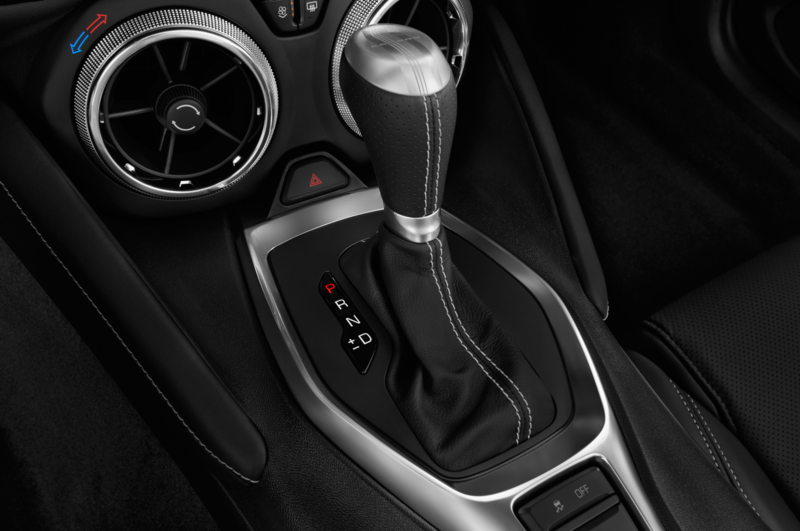 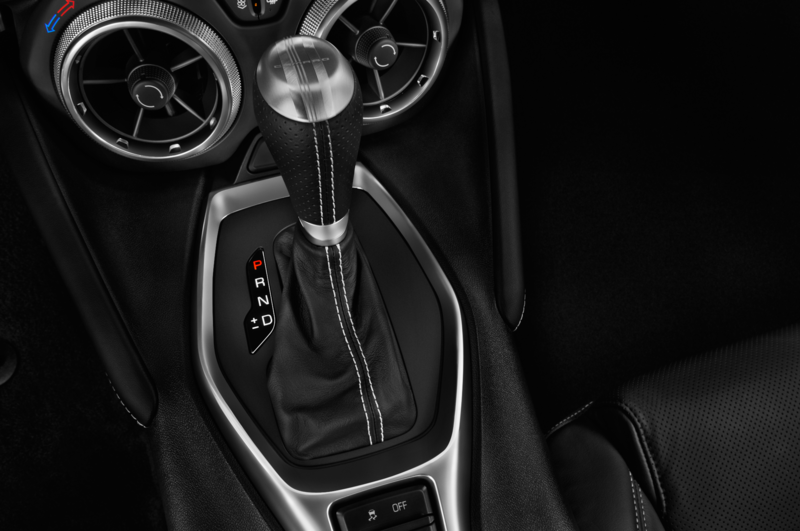 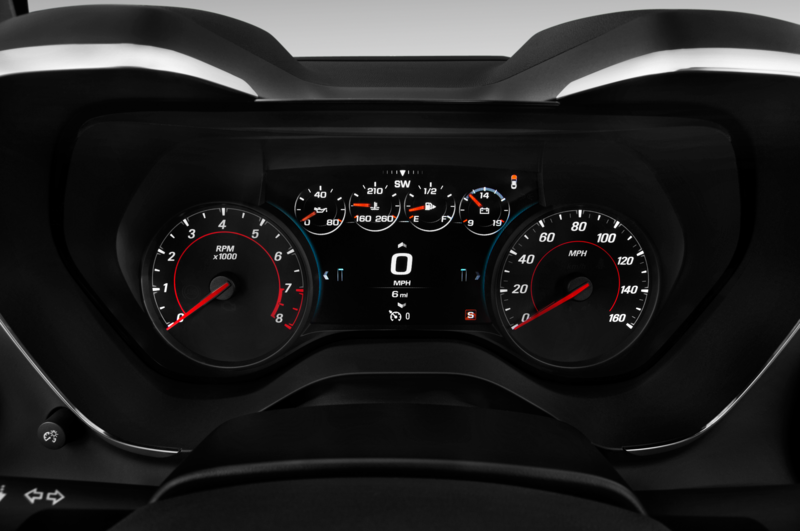 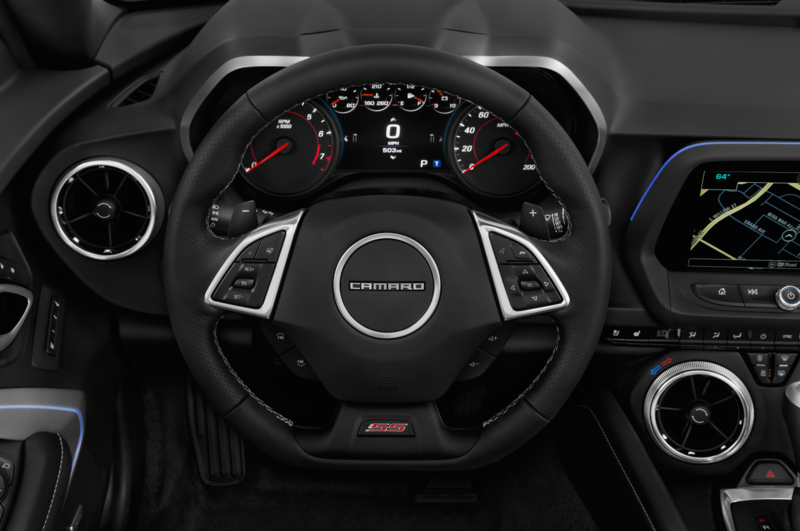 Naturally an automatic will also be available, yet this will be a new 10-speed item instead of the eight-speed featured in the Camaro SS. 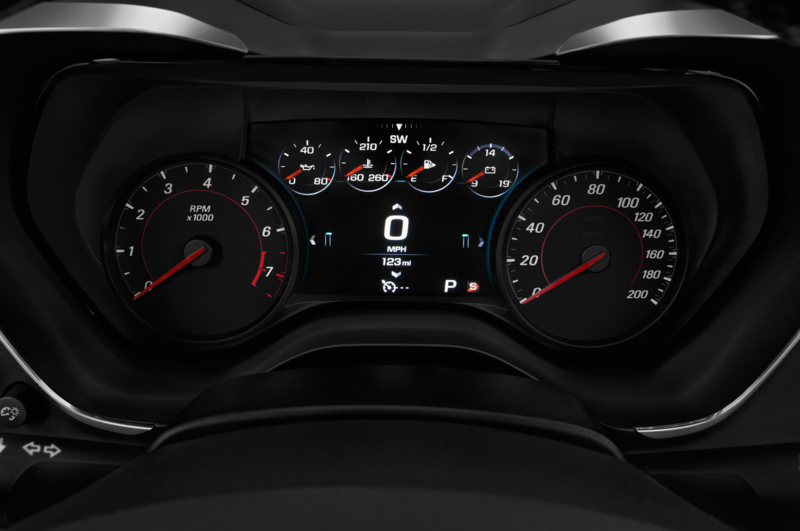 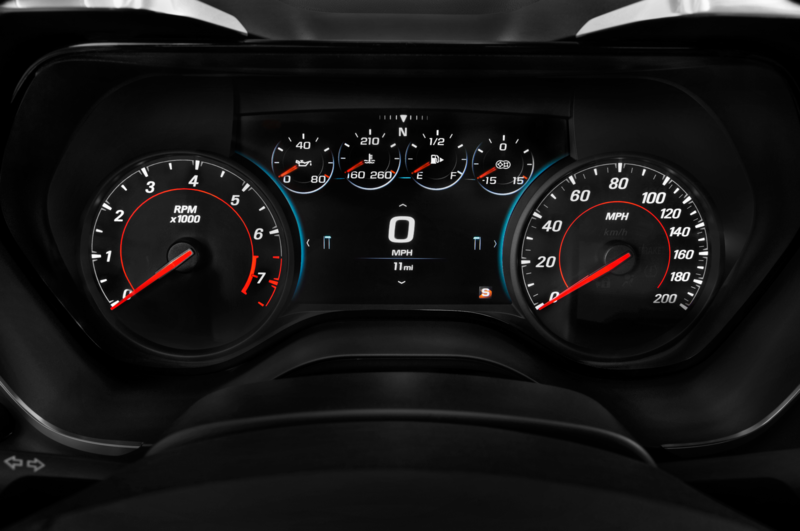 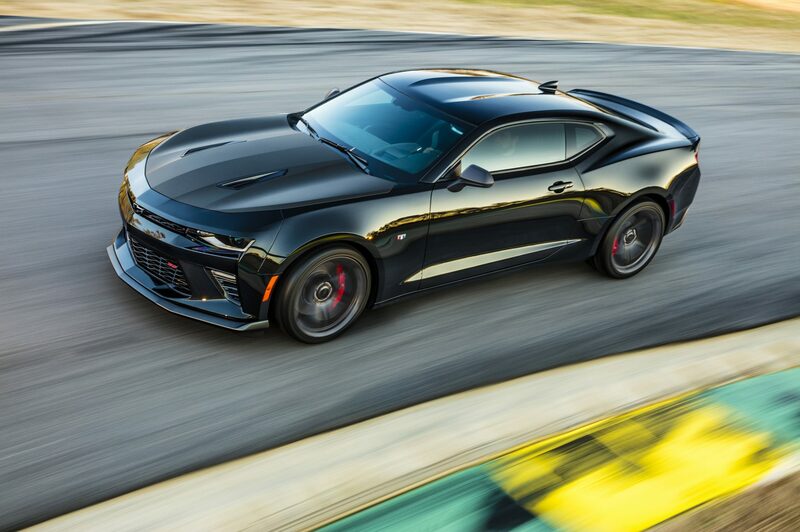 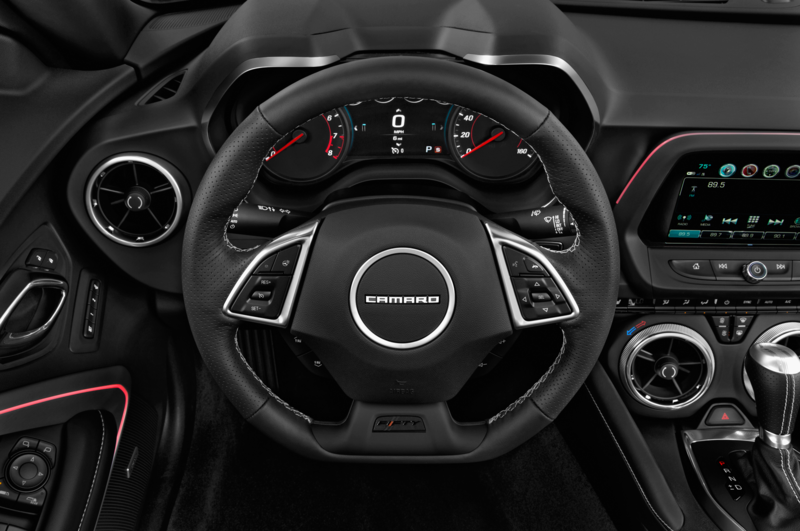 No doubt the automatic’s 10 speeds will help squeeze better fuel mileage out of the ZL1’s supercharged V-8, and it should also deliver a quicker 0-60 mph time than the manual transmission, just as the eight-speed automatic does now in the Camaro SS. 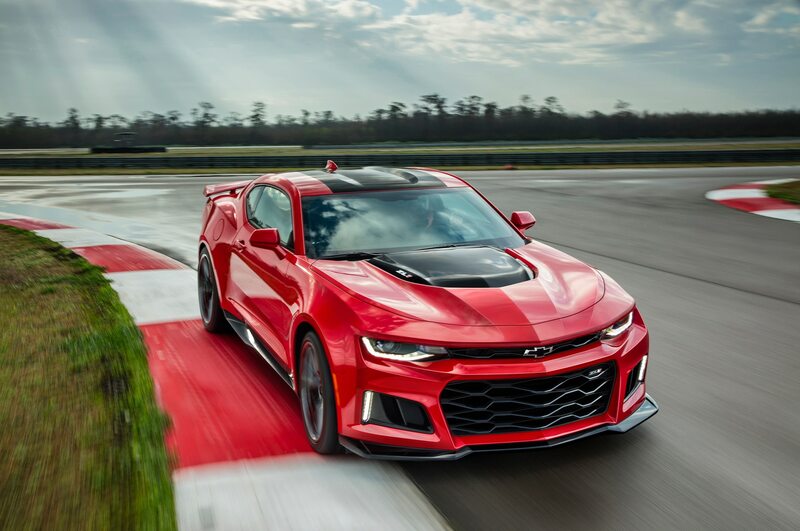 Once it appears in the fall, the 2017 Camaro ZL1 will face off with the Shelby Mustang GT350, so it’s no surprise that this Camaro strikes a track-ready pose when you see it. 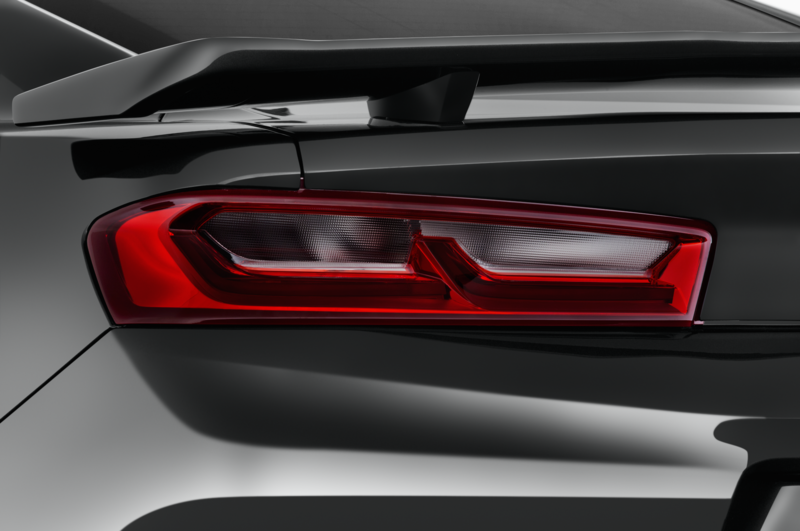 You’ll notice the front aero splitter, the wider front fenders, the special rocker-sill aero extensions, and the rear wing. 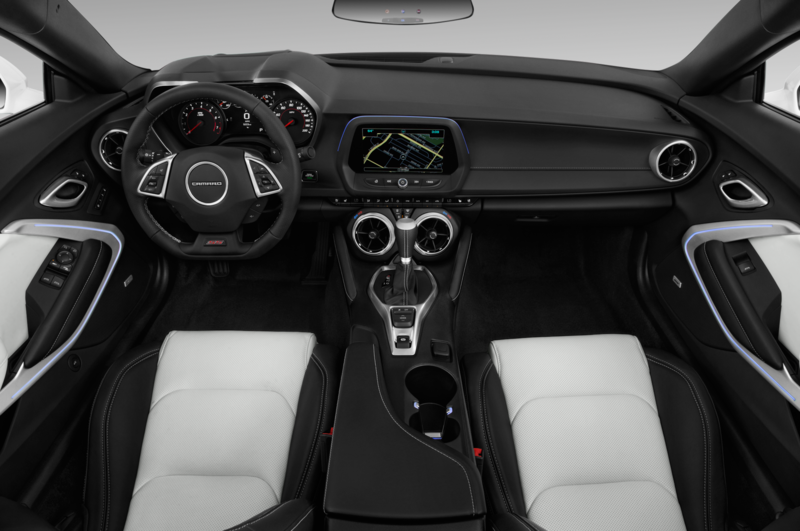 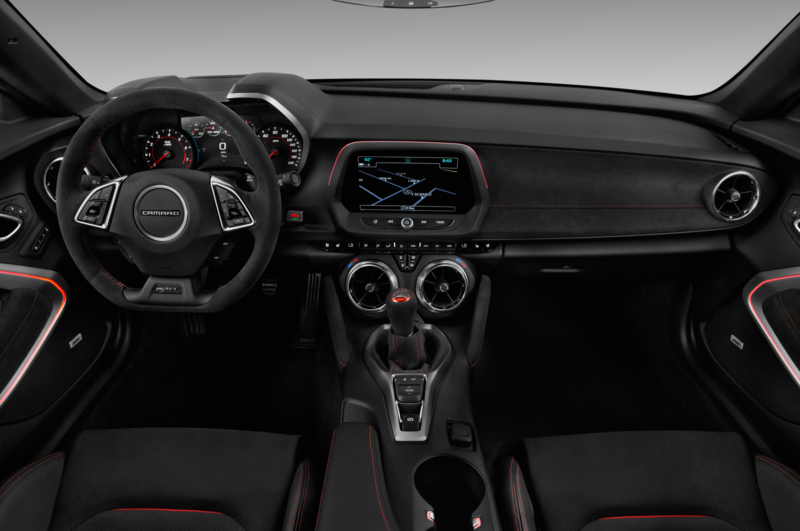 Within the cockpit, you’ll find Recaro seats, a flat-bottom steering wheel with a rim covered in faux suede, and a shift lever knob upholstered in faux suede. 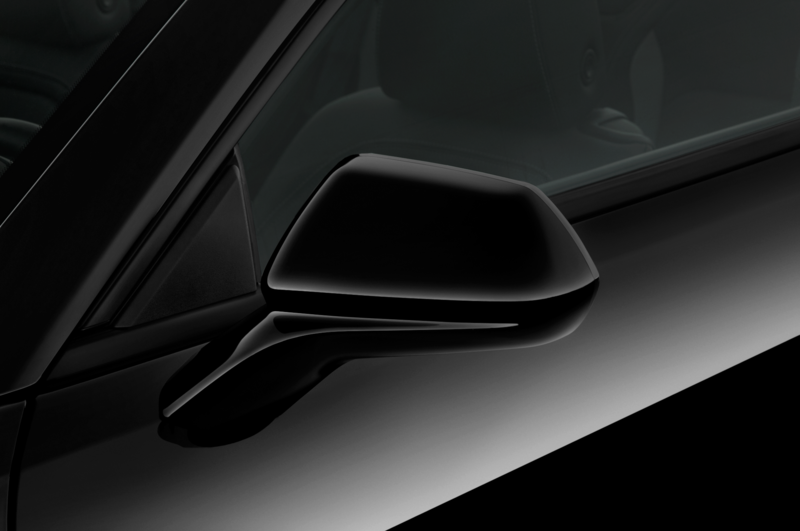 But there’s also lots of additional stuff that’s not apparent at a single glance. 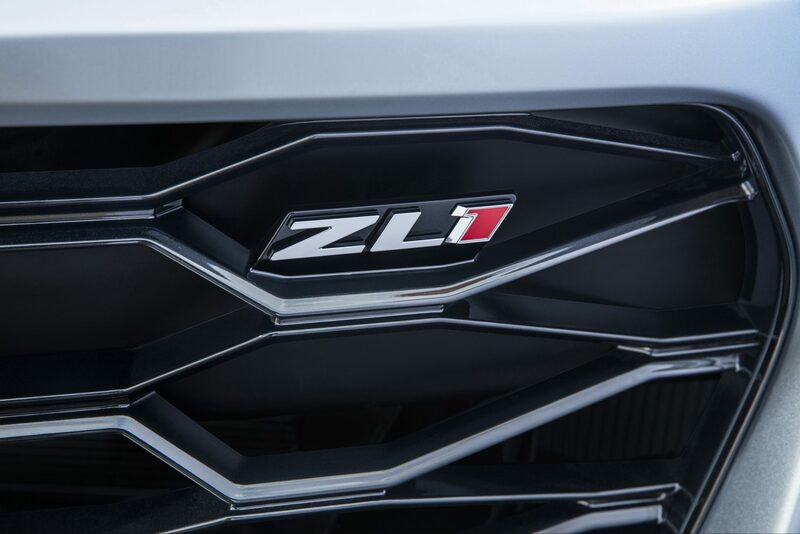 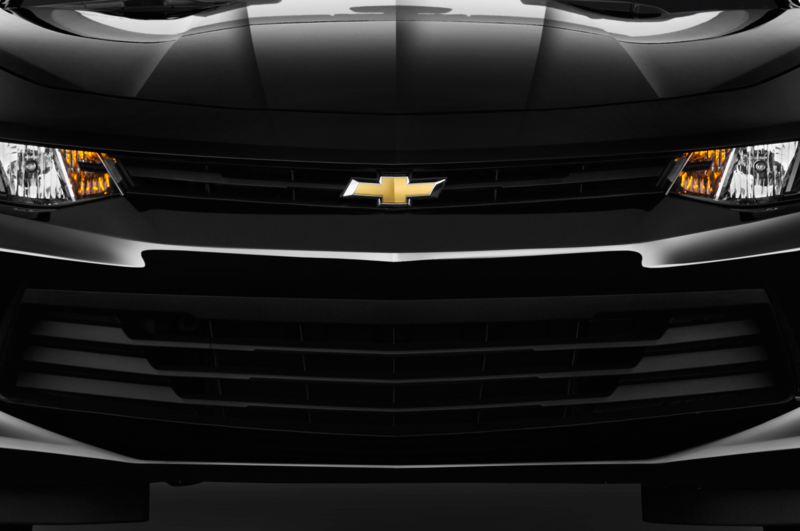 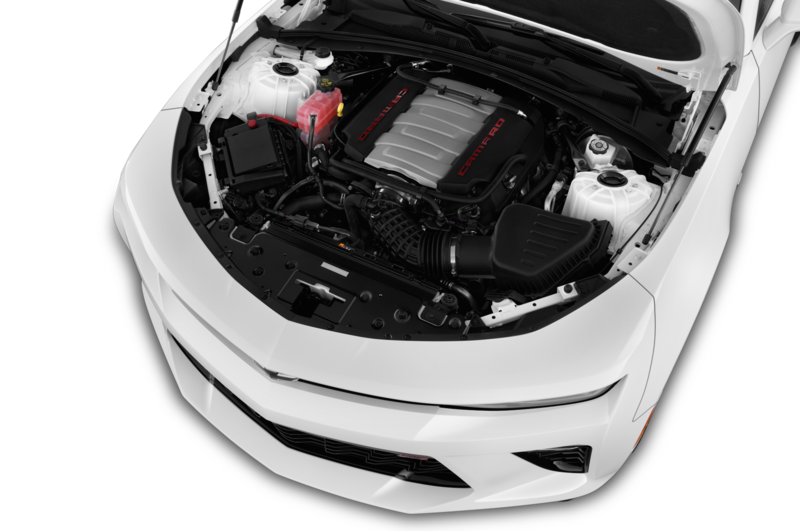 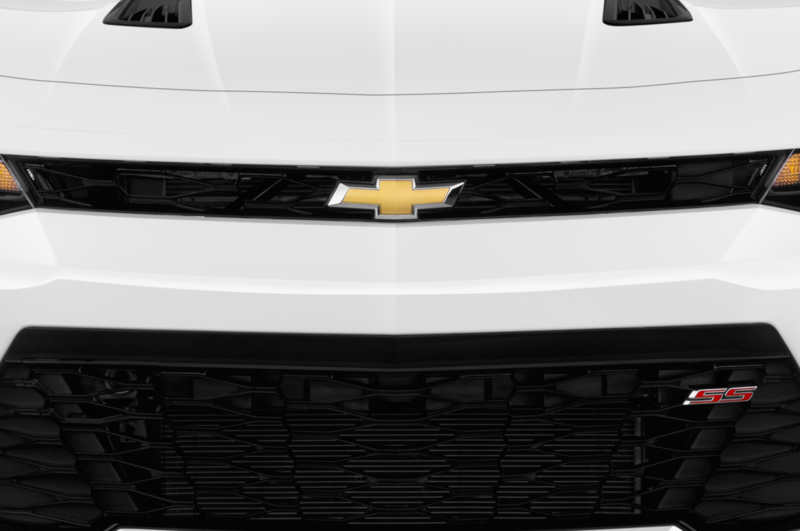 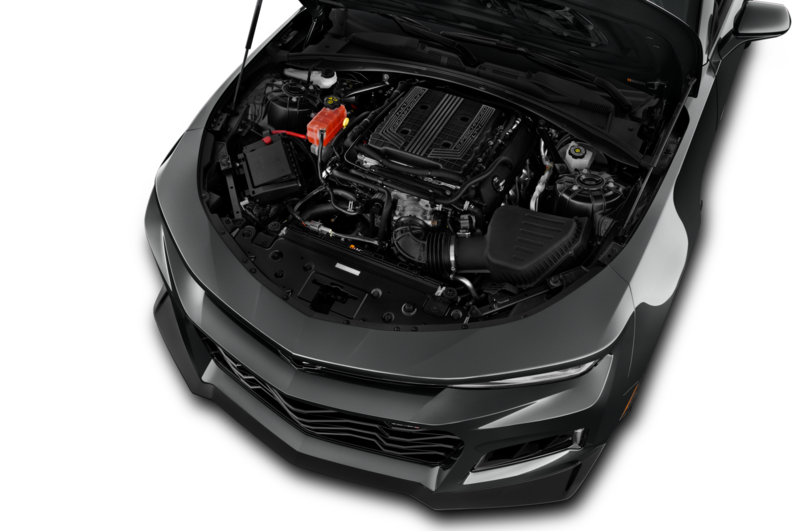 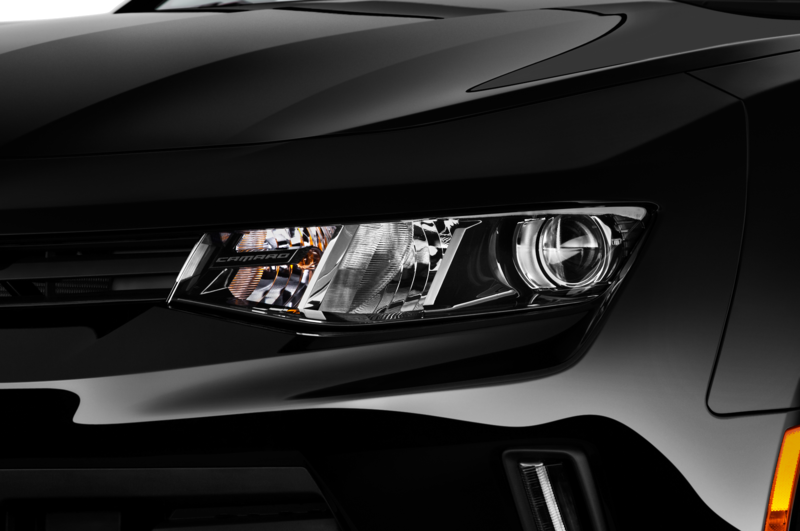 The open-style lower grille admits more cooling air to the supercharged engine, and even the Chevy bow-tie insignia (“flow-tie”) ducts air to the engine compartment. A carbon-fiber insert in the hood helps extract hot air. 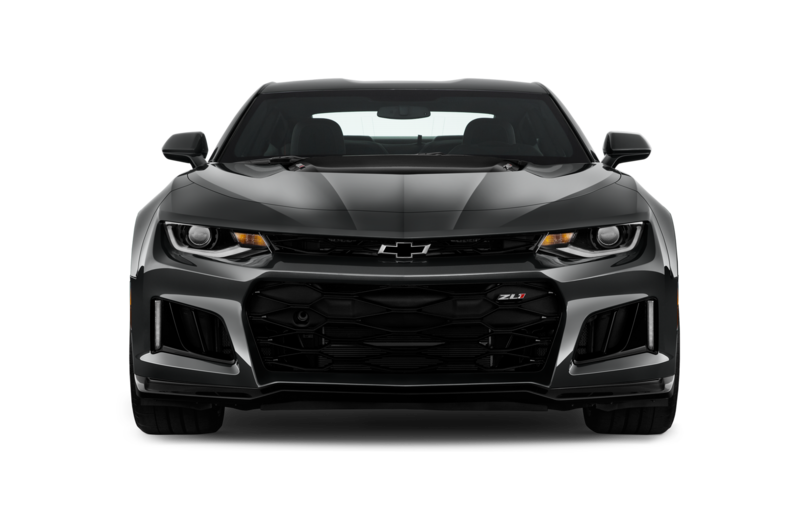 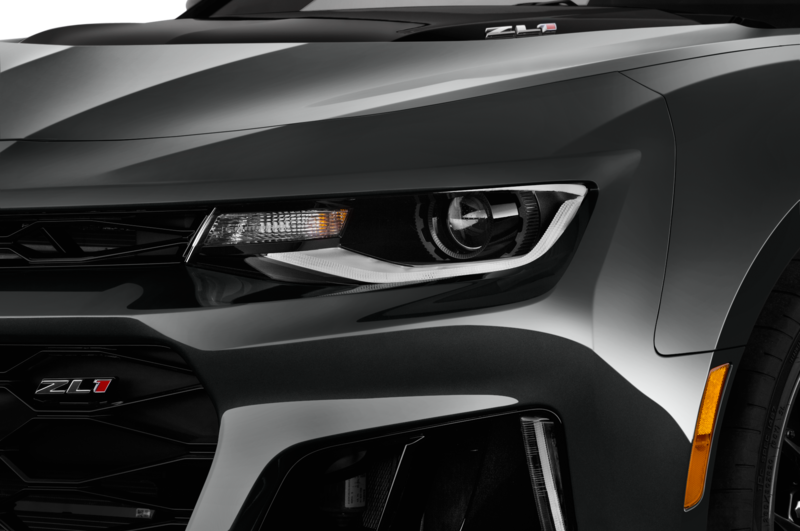 Meanwhile, there are big brake ducts in the front valence, which is probably a good thing, since the Camaro ZL1 features 15.4-inch front brake discs with six-piston Brembo calipers. 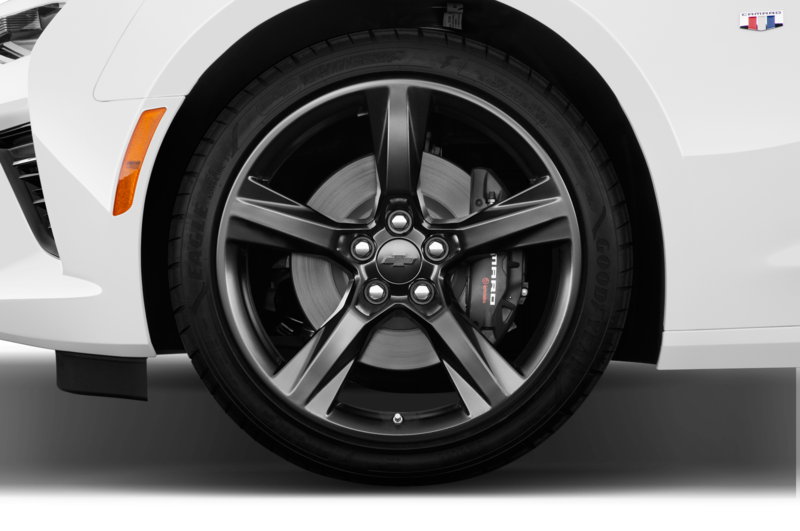 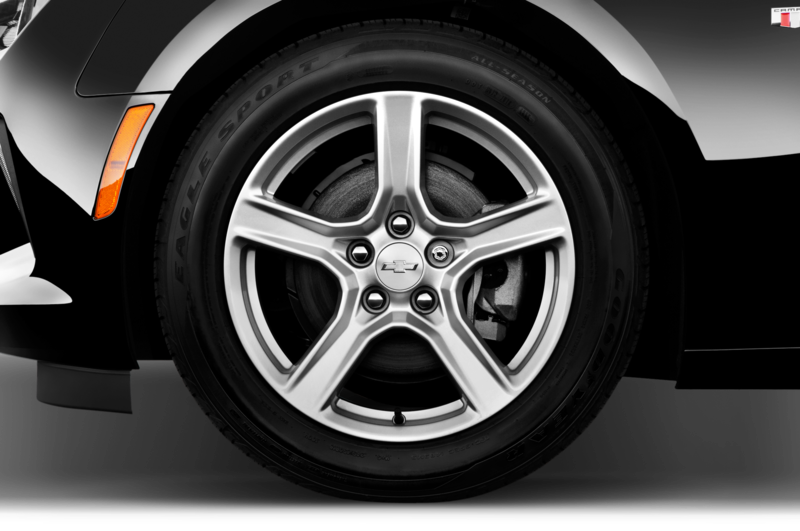 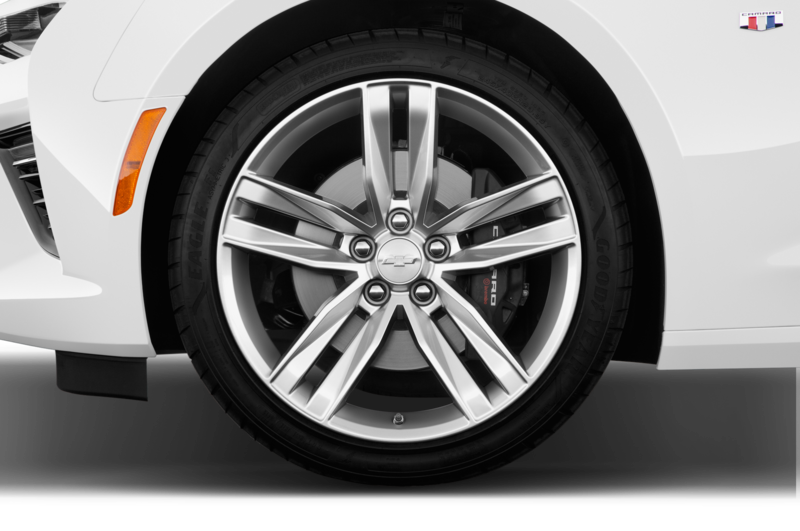 There are 14.4-inch brake discs in the rear with four-piston calipers. 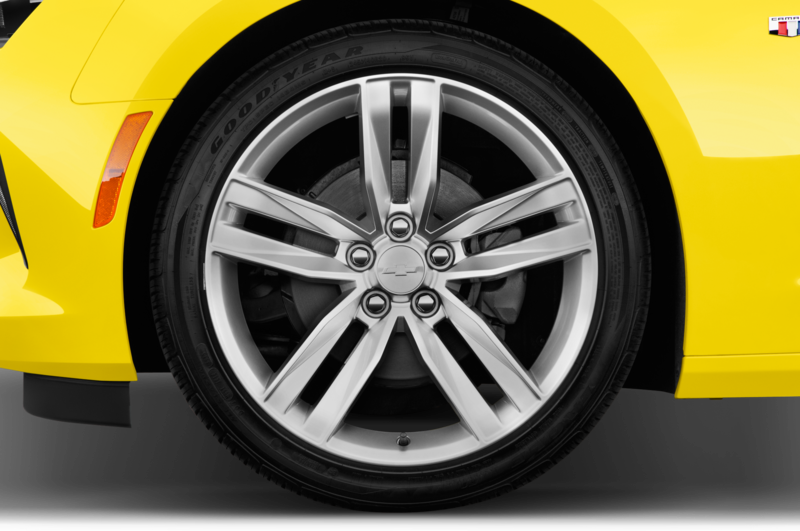 Under the fenders, you find 285/30R-20 front and 305/30R-20 rear Goodyear Eagle F1 Supercar tires riding on forged-aluminum wheels. 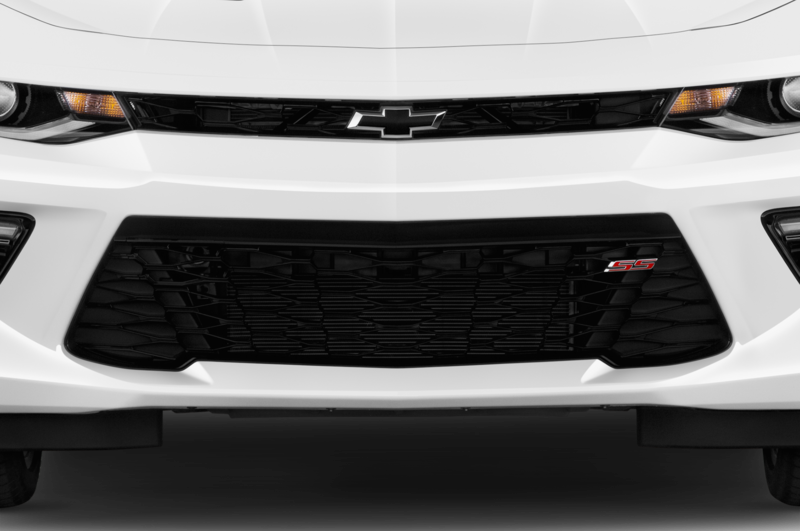 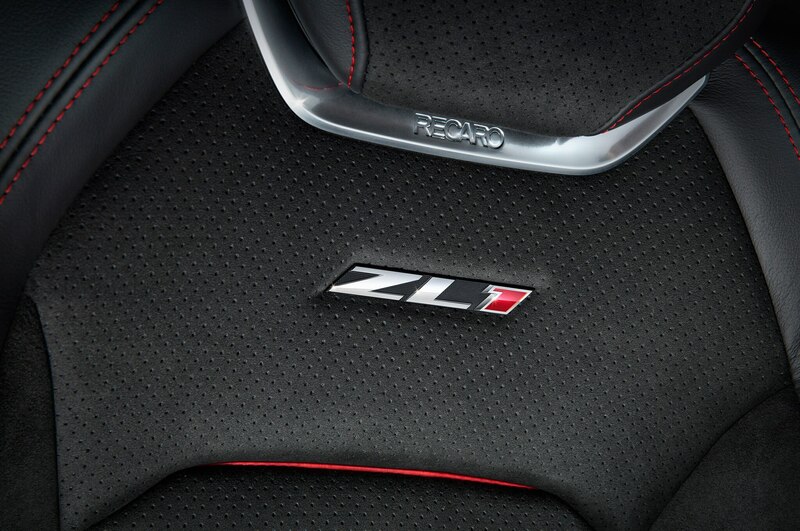 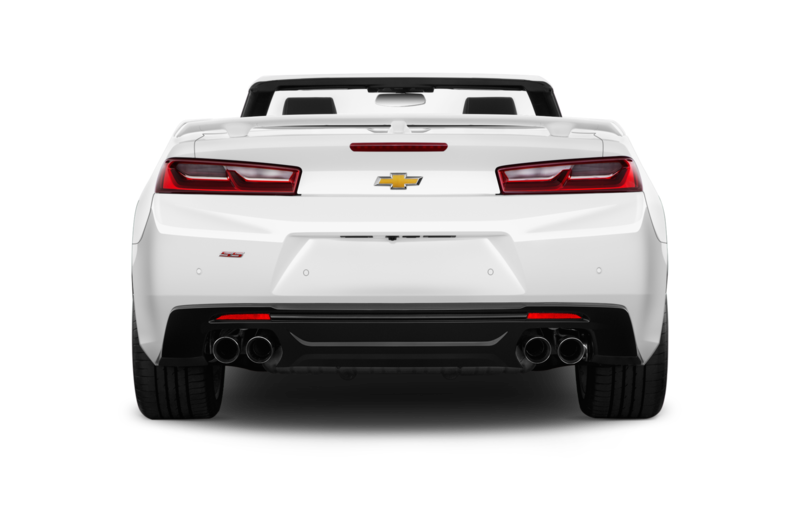 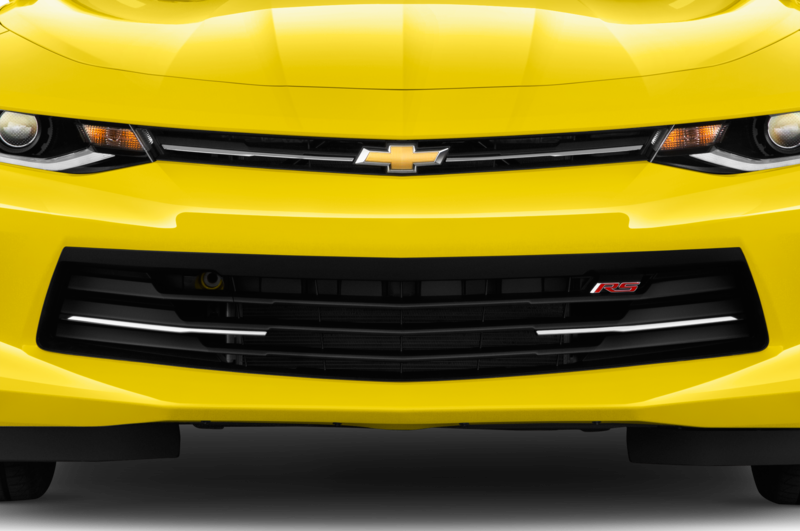 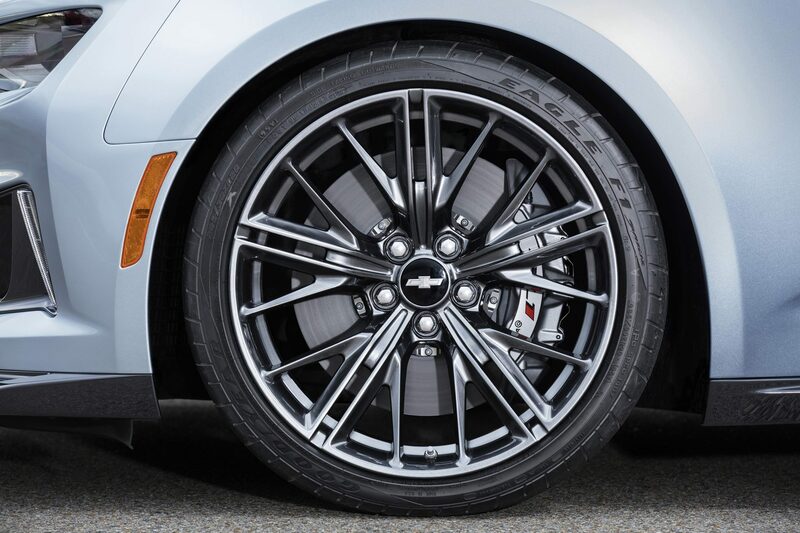 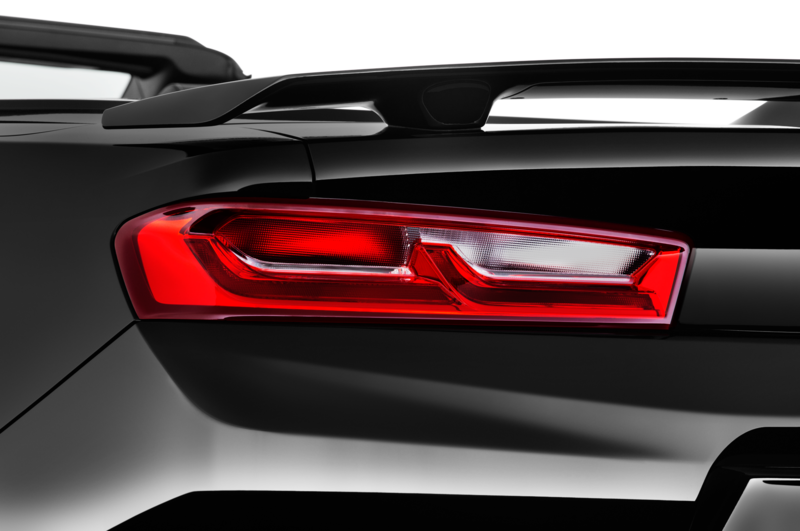 Beneath the ZL1, you’ll find a comprehensive package of underbody shields for sleeker aerodynamics. 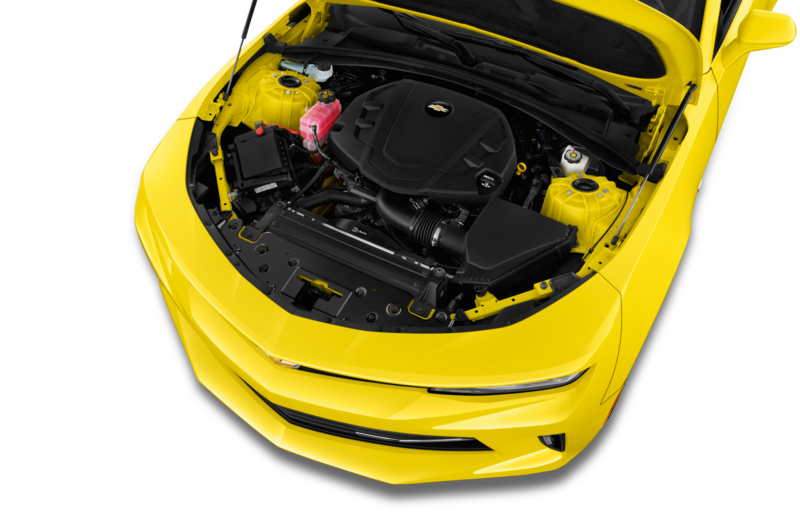 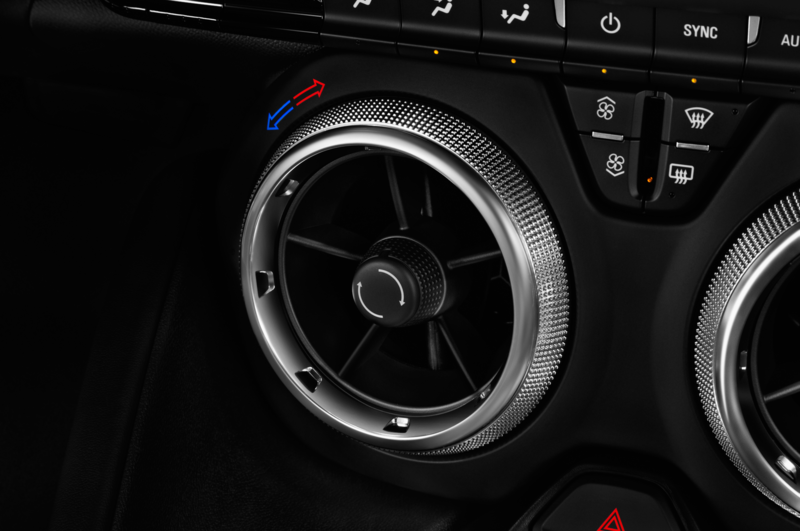 There’s a unique aero duct for the ZL1’s transmission cooler, and indeed there are no less than 11 special coolers for various mechanical bits in this car (notably the differential), a little reminder that heat is a potentially destructive byproduct of extreme power and speed. 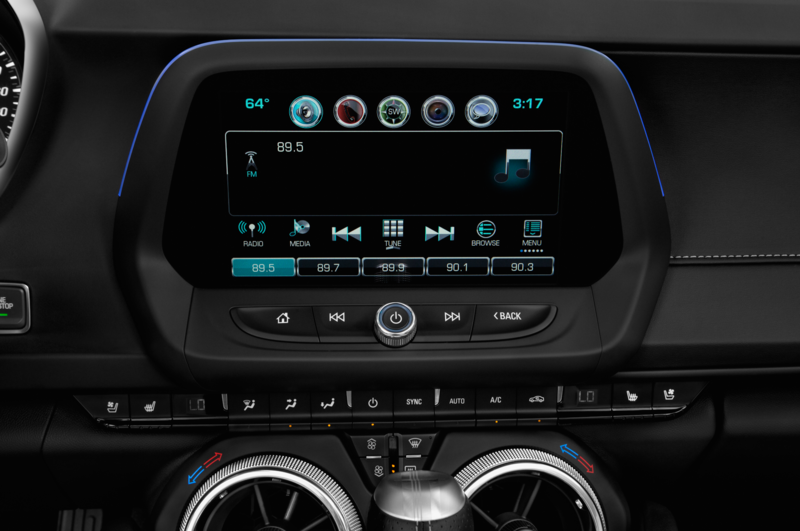 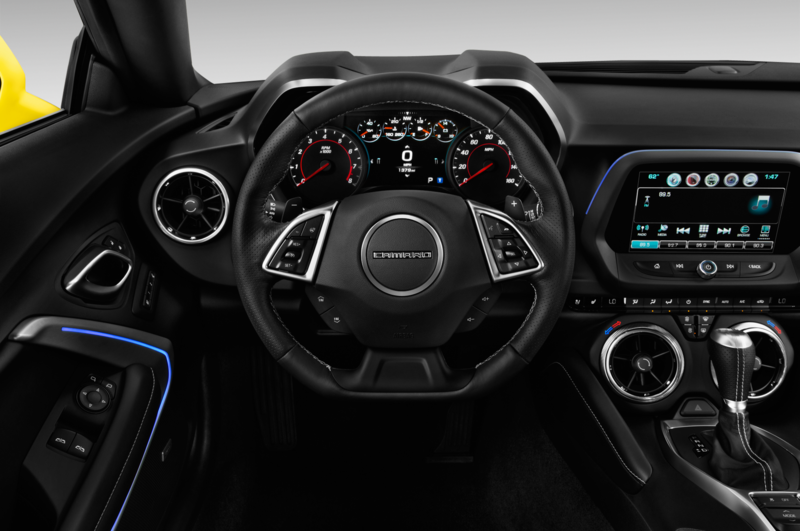 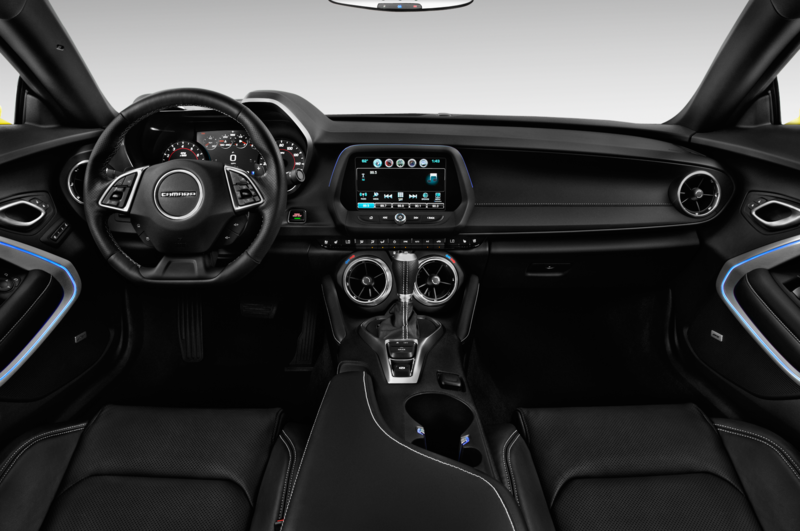 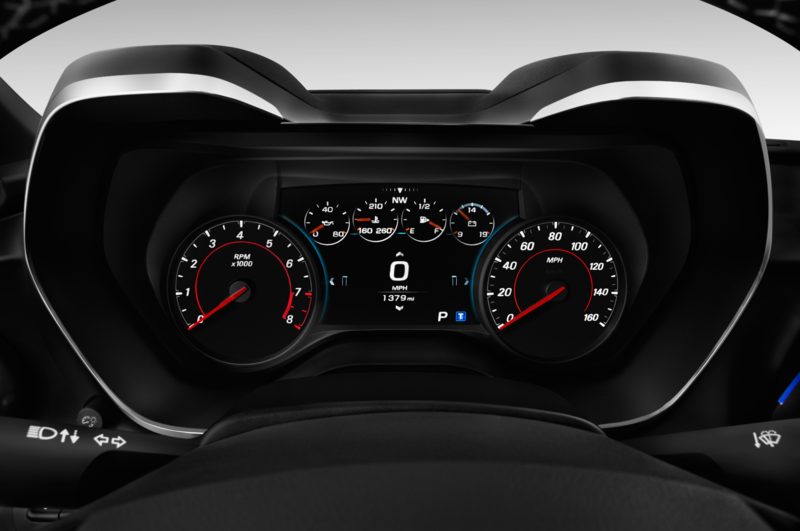 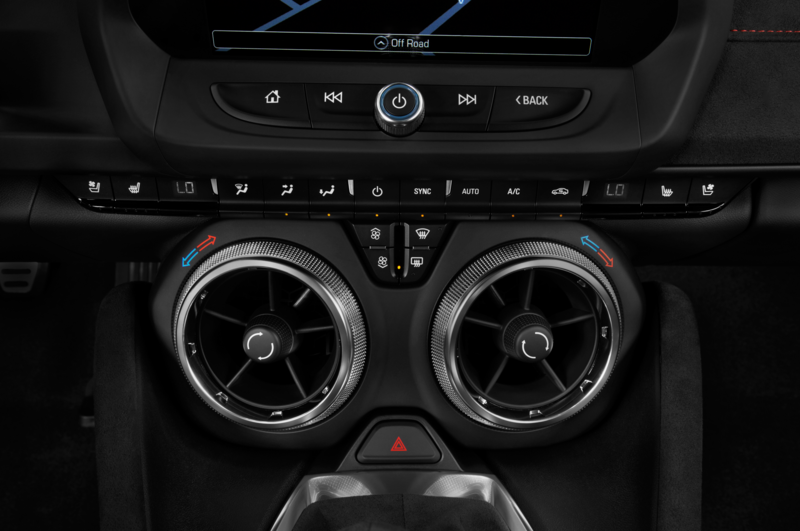 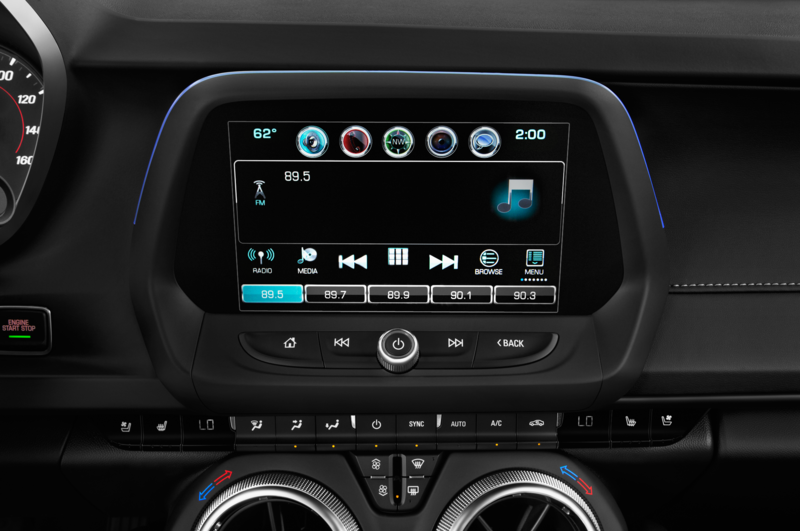 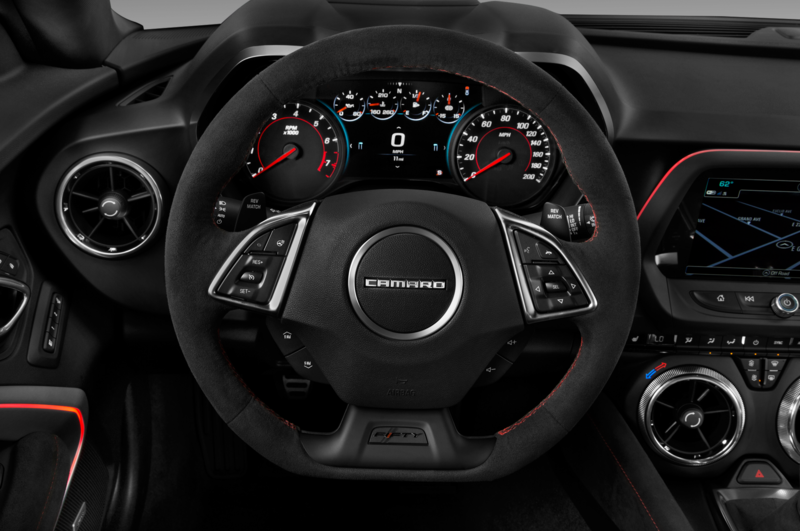 As you’d expect, the 2017 Chevrolet Camaro ZL1 incorporates all the latest electronics that make it possible for us to drive around in 650-hp cars without flying off the road and crashing into a tree. 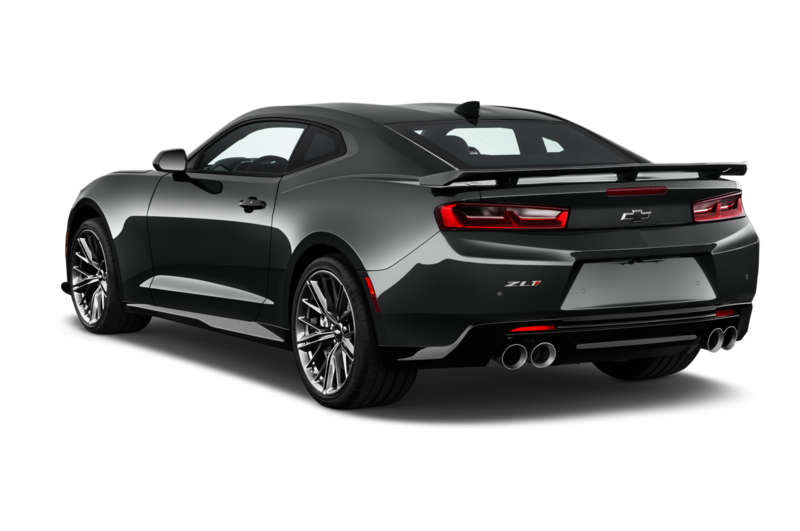 It has Magnetic Ride Control suspension dampers and an electronically controlled rear differential. 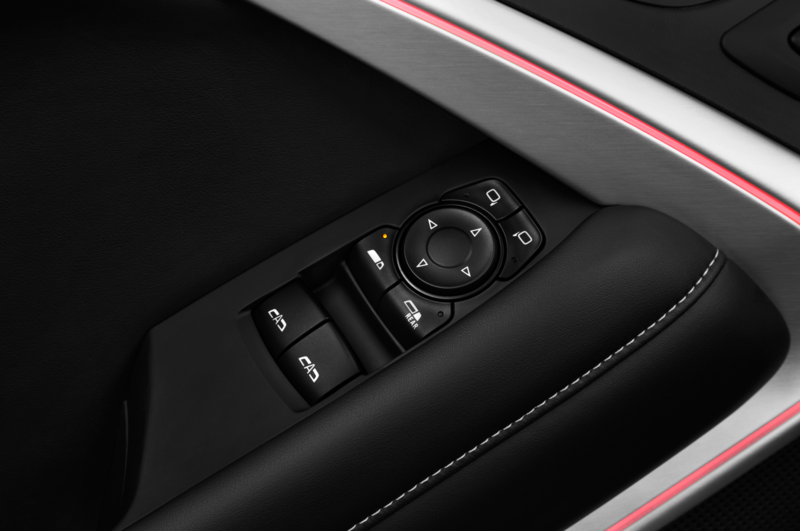 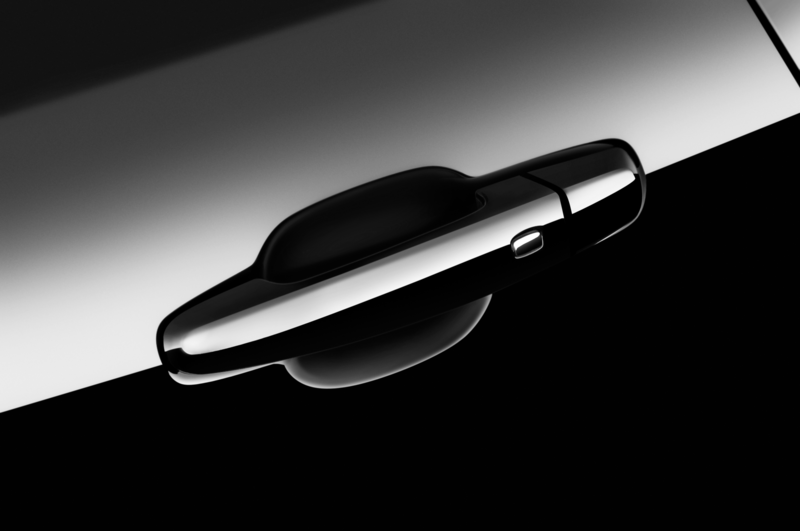 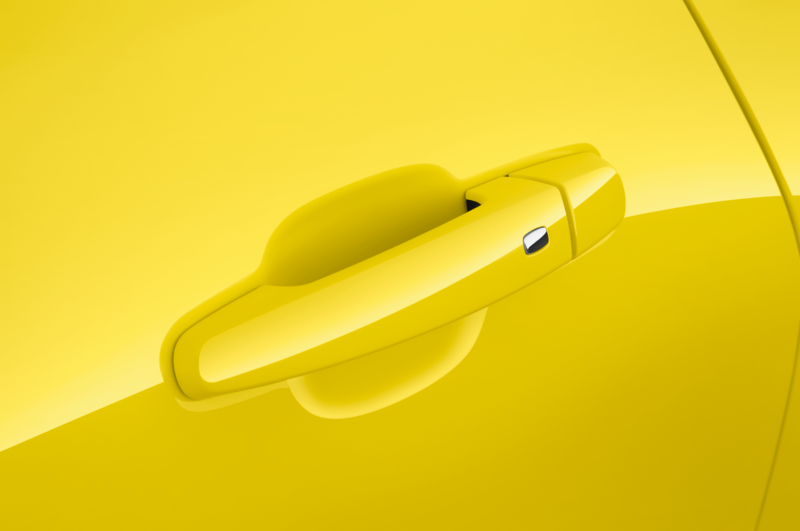 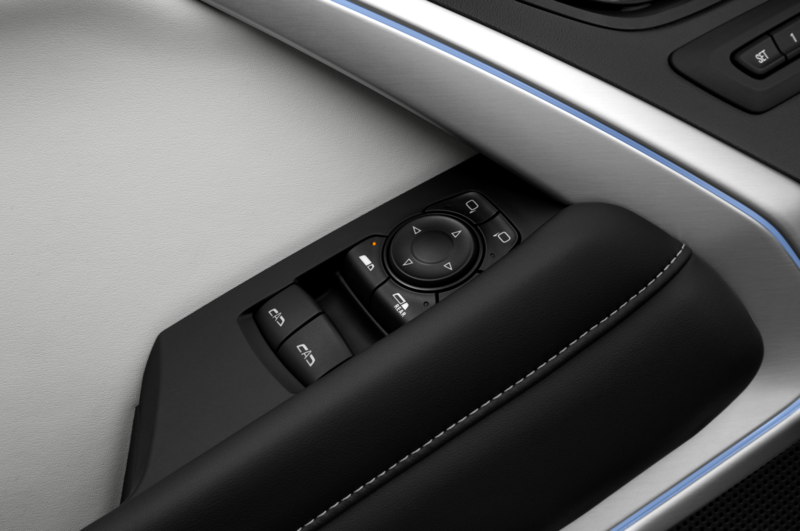 A driving mode control offers the usual span of street- or track-ready calibration. 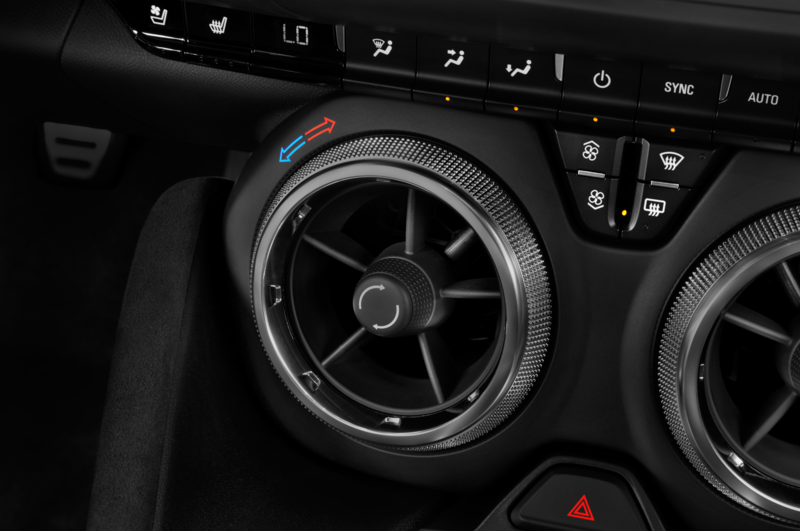 The stability control can be adapted to a level of permissiveness suited to your driving intentions, plus launch control is included. 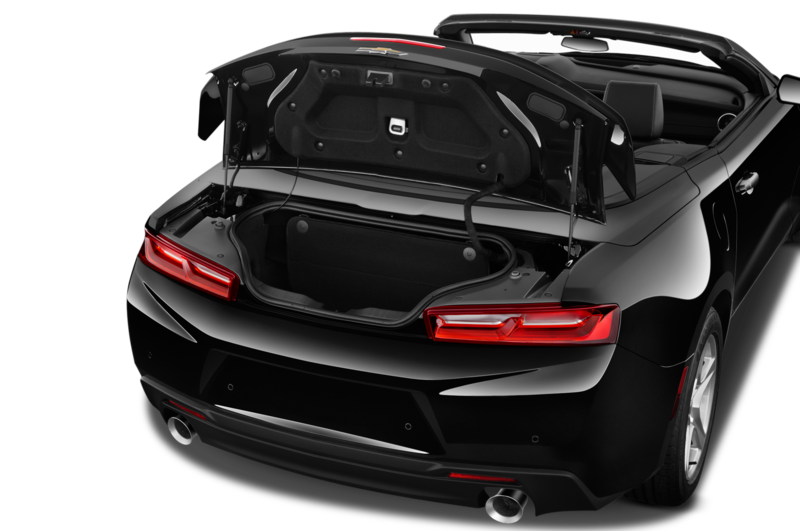 You should also appreciate that the Camaro’s modular platform (shared with the Cadillac ATS) is a very stout package in structural terms, even though it’s dramatically lighter than the platform of previous-generation car. 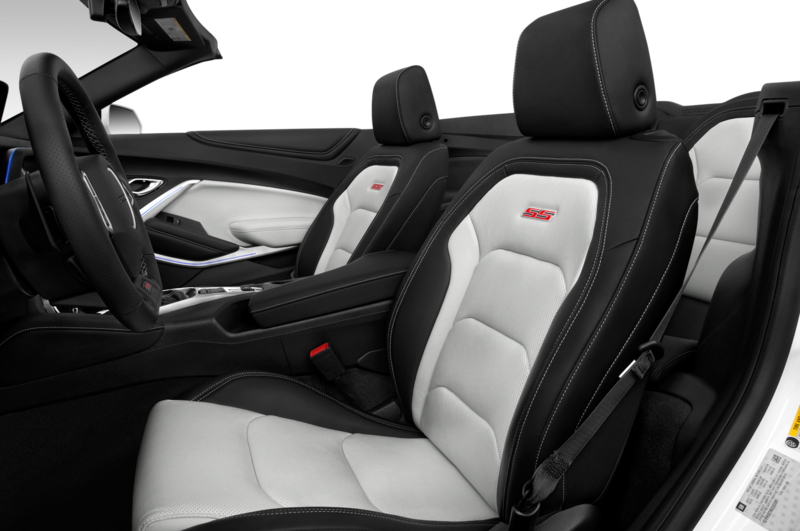 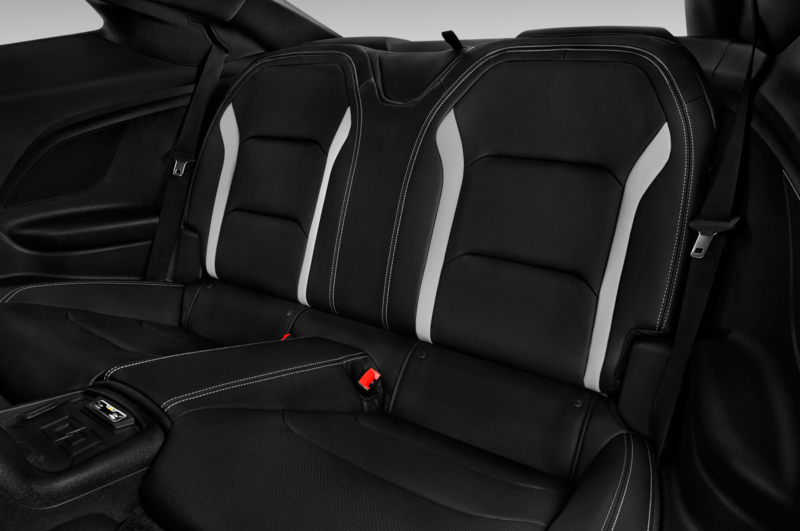 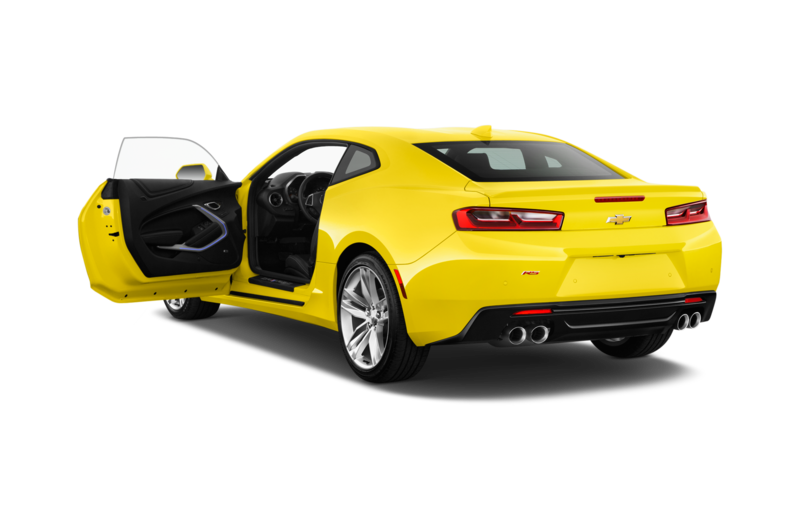 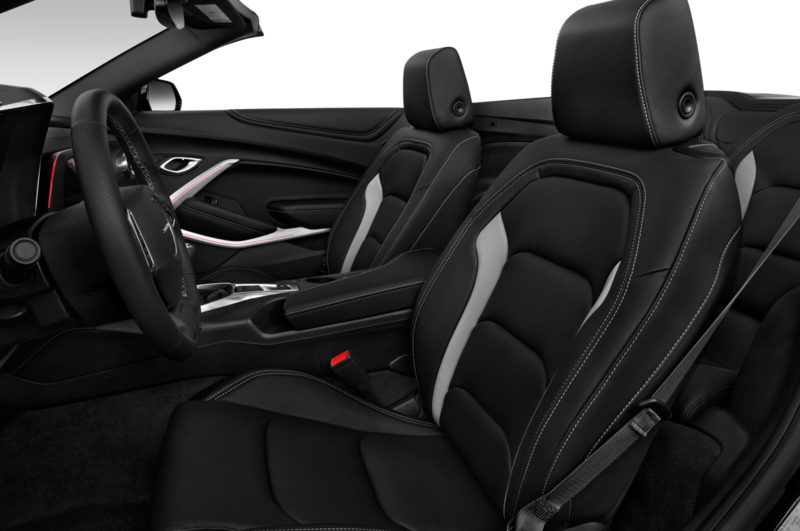 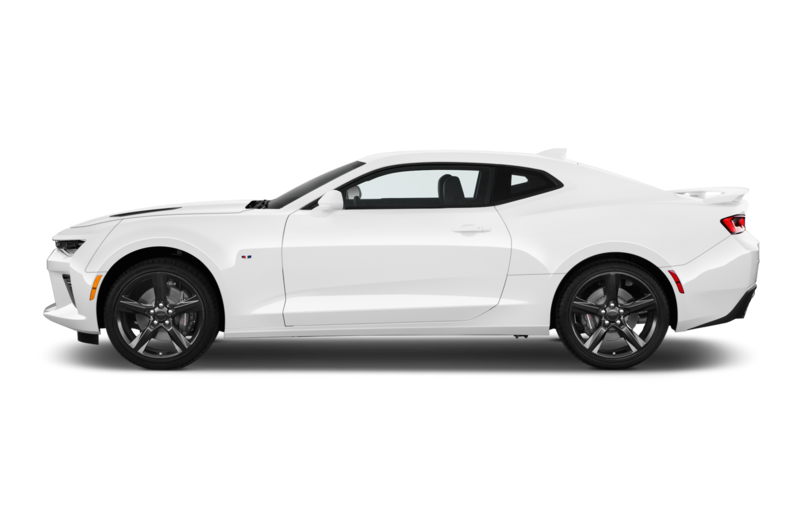 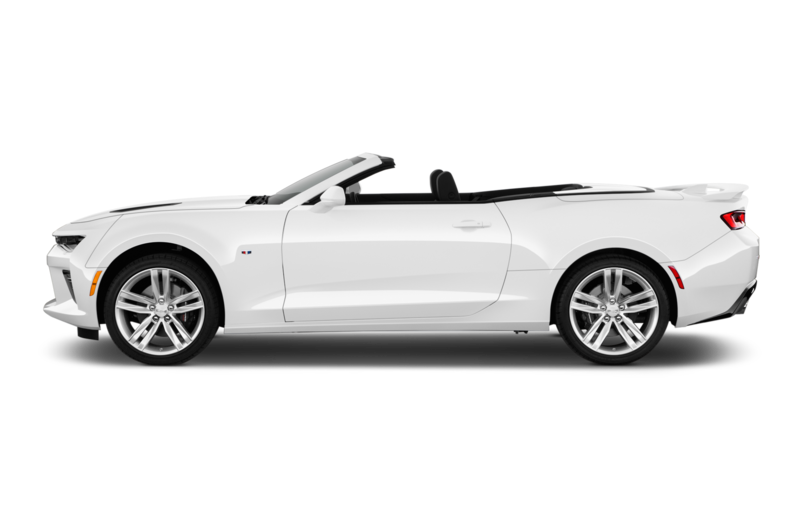 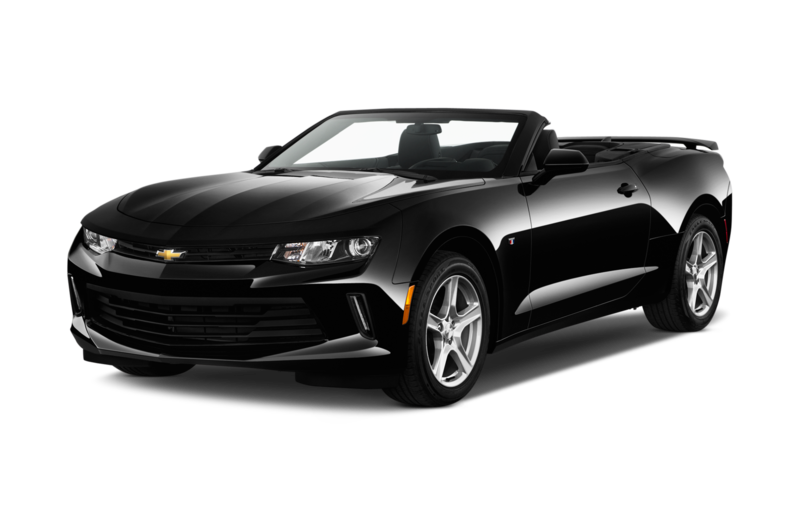 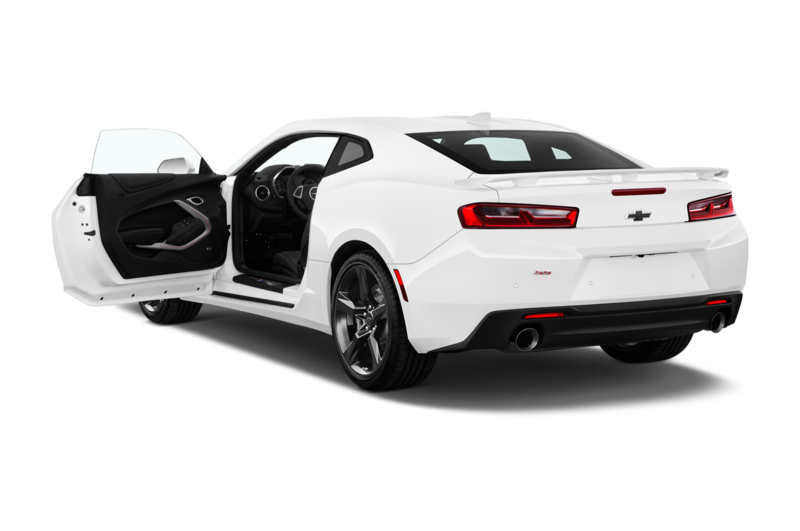 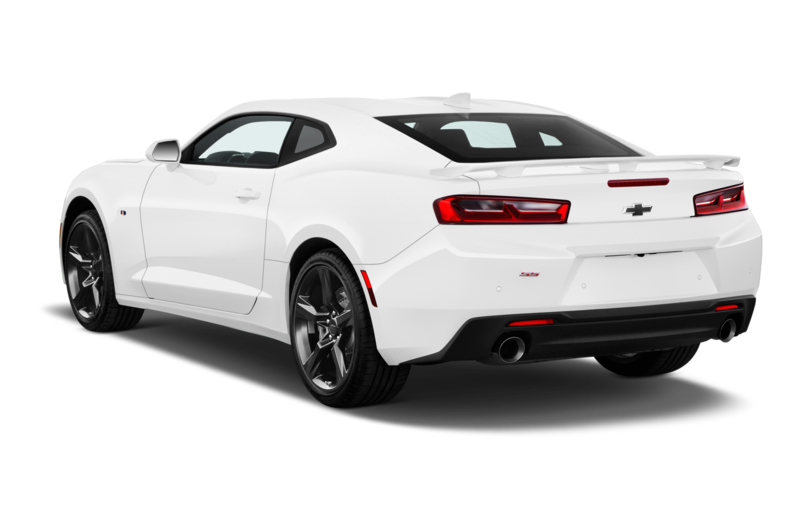 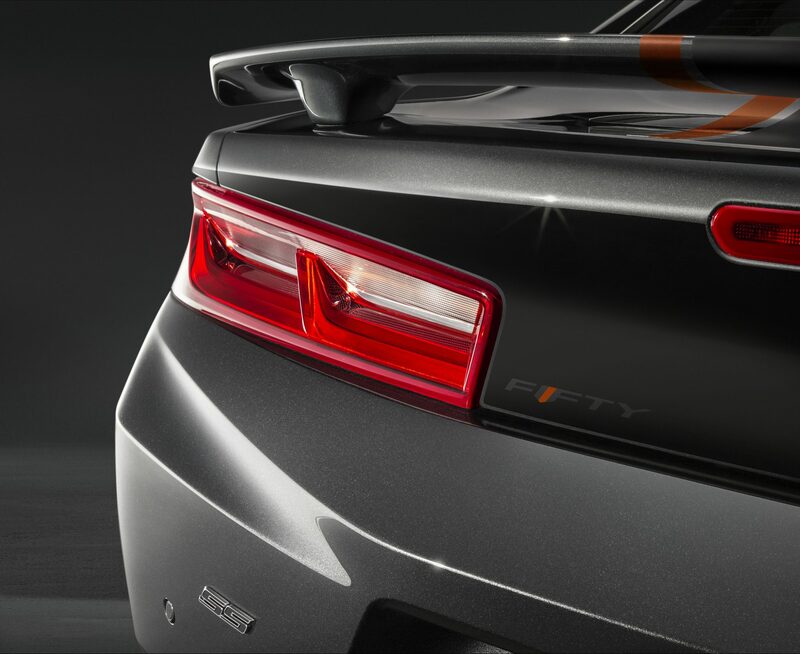 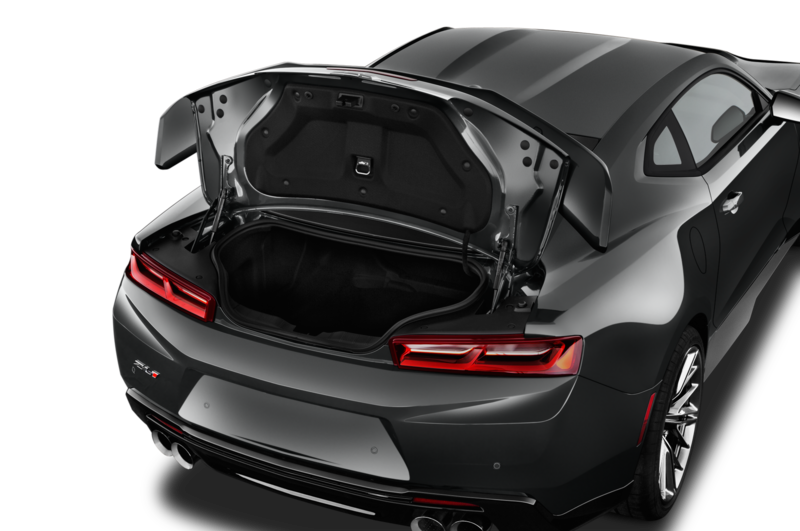 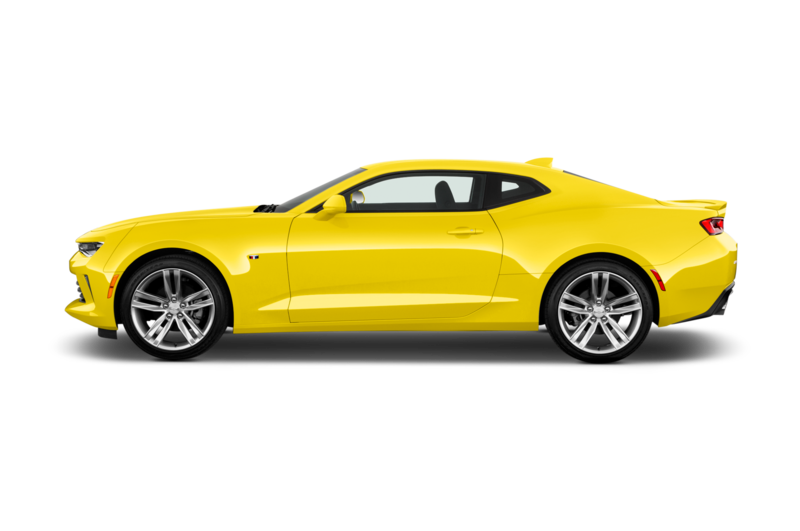 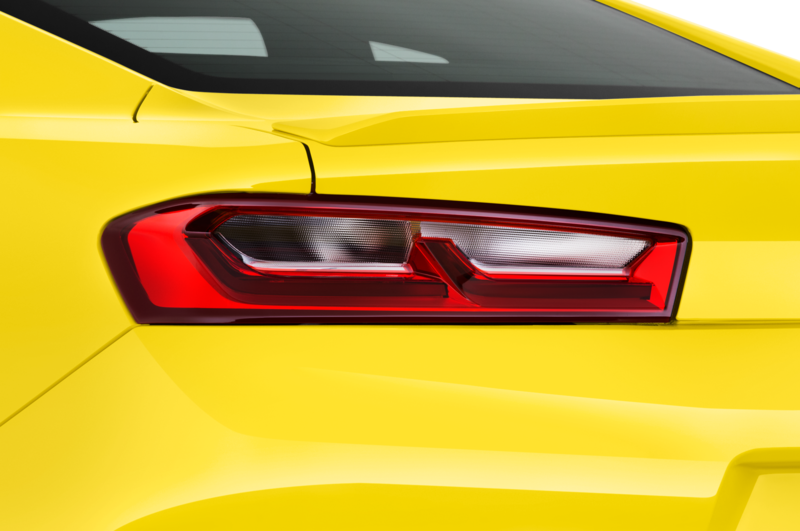 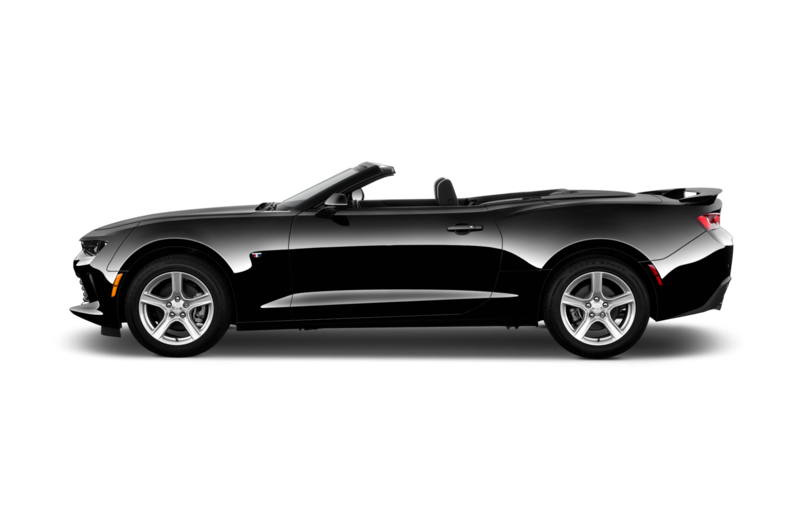 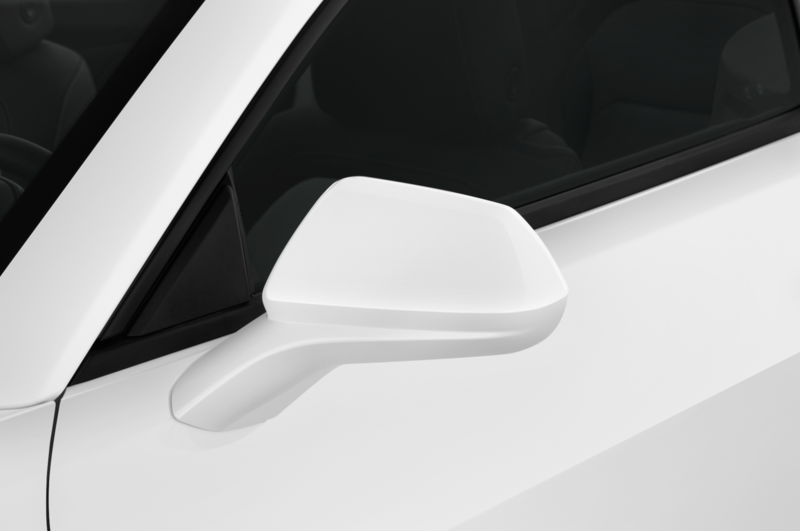 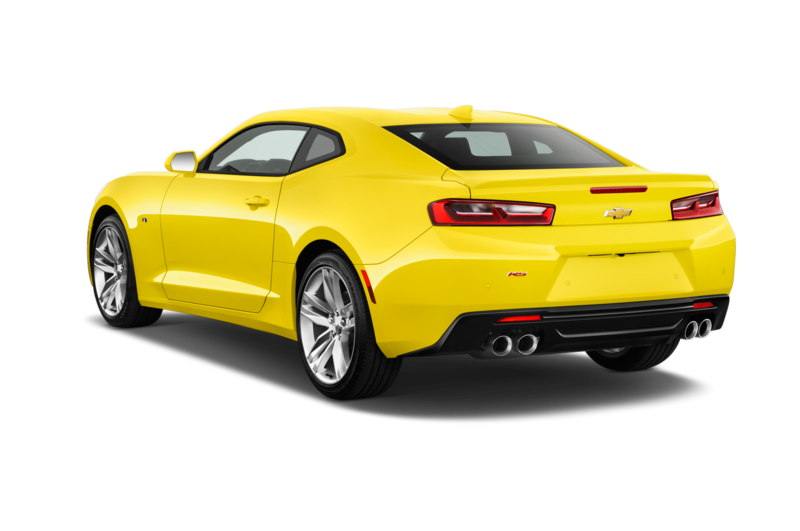 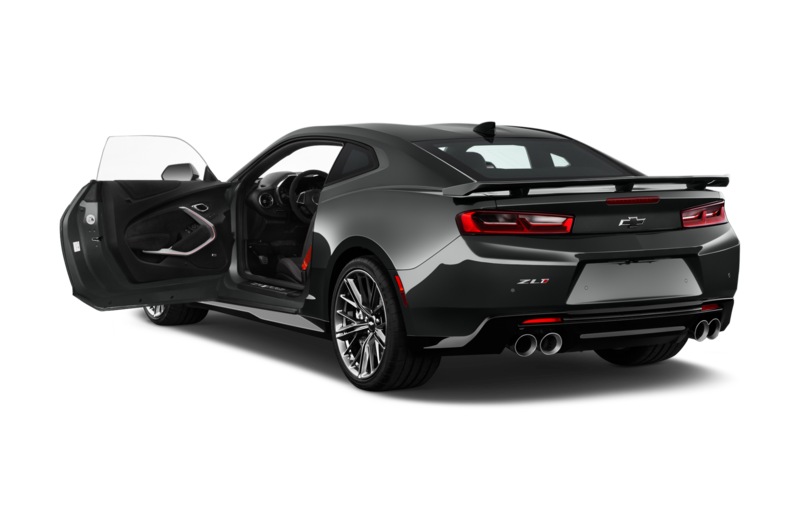 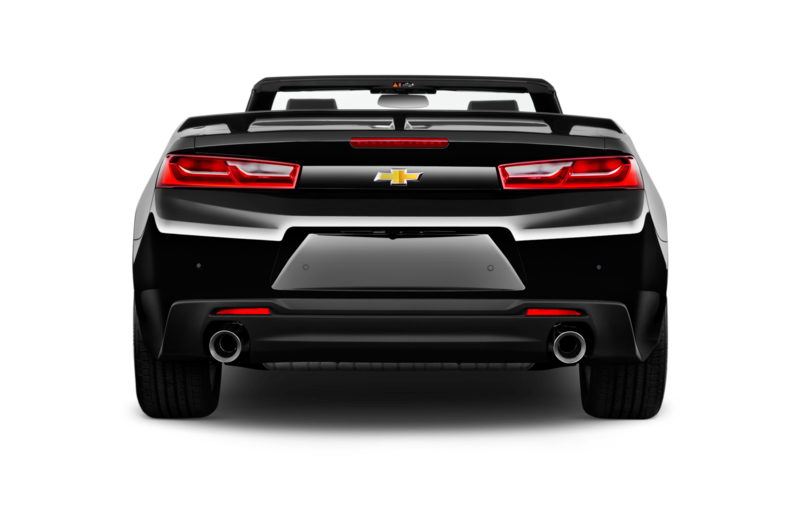 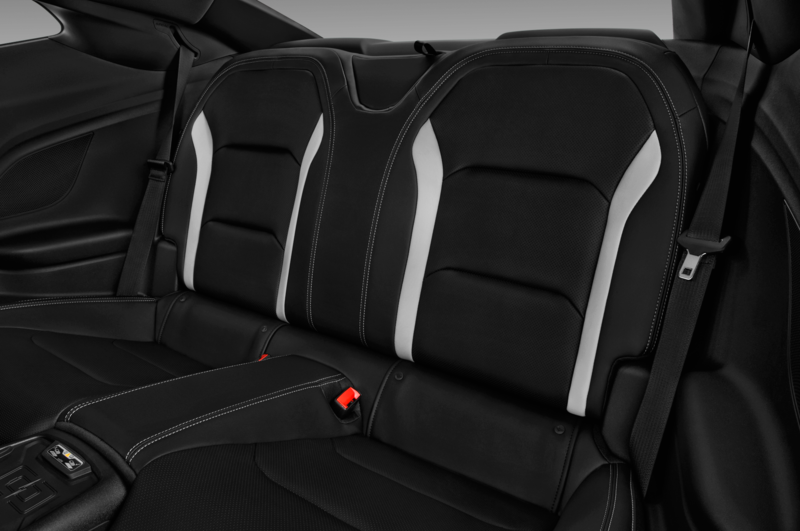 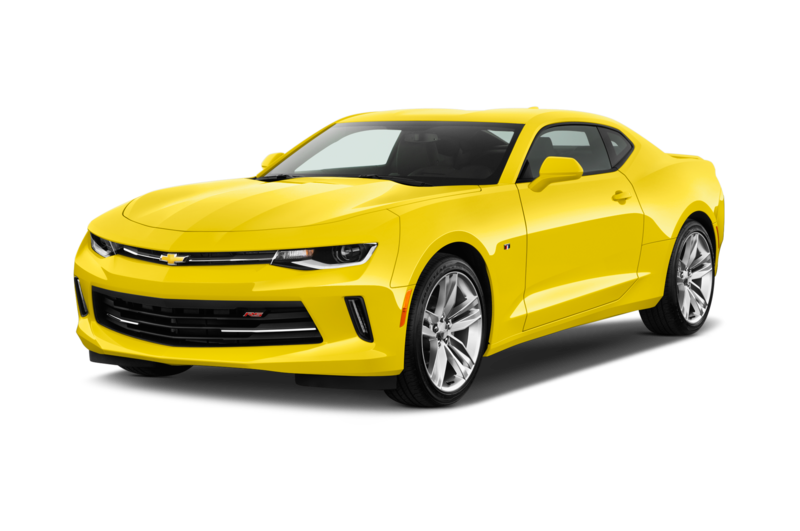 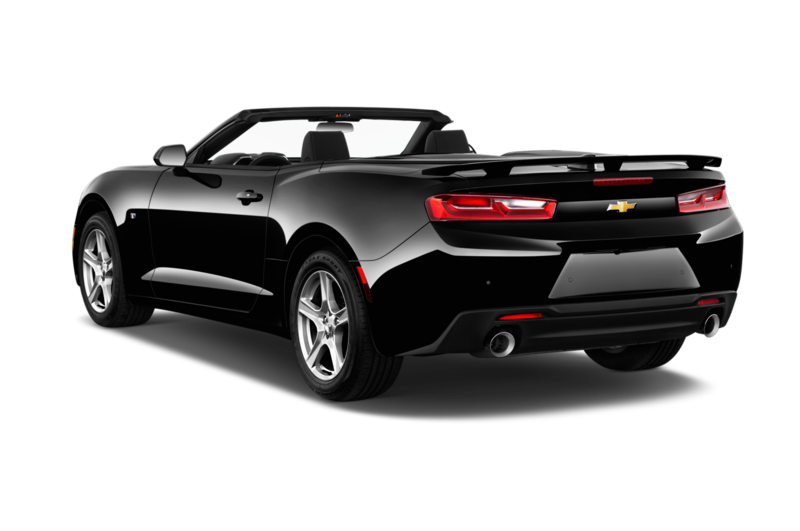 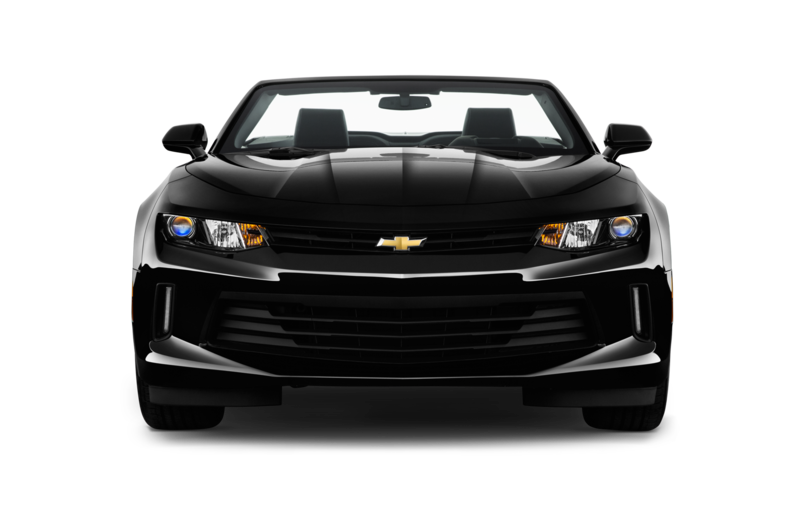 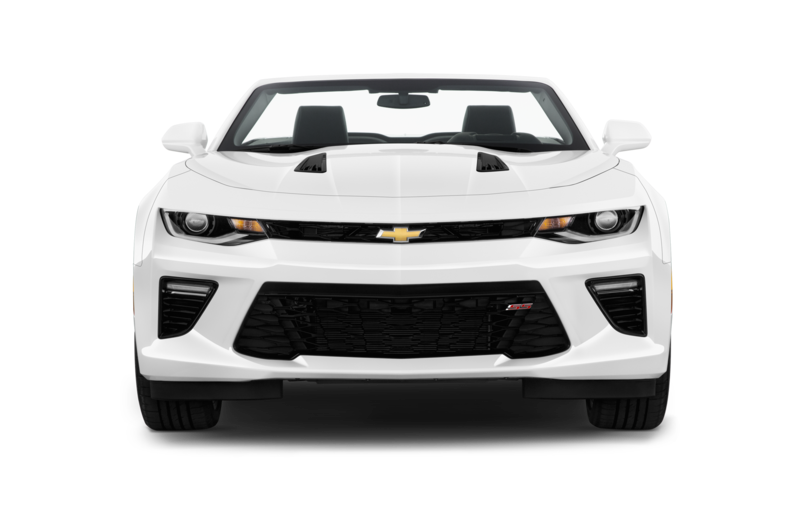 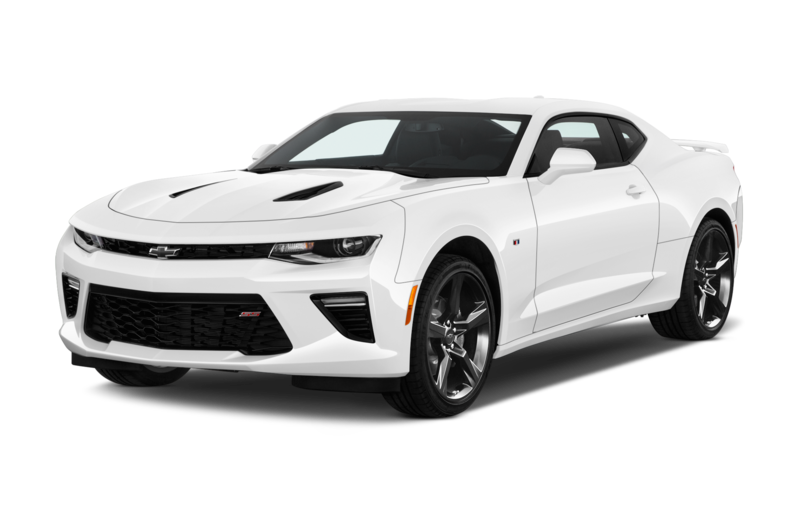 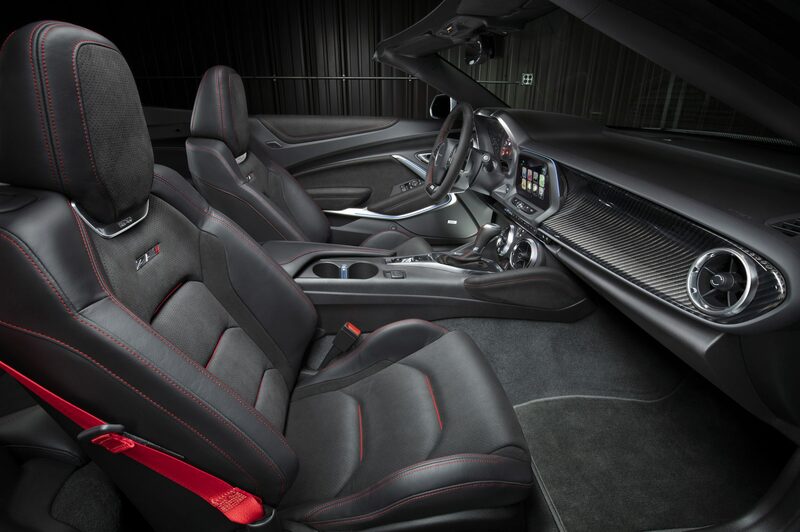 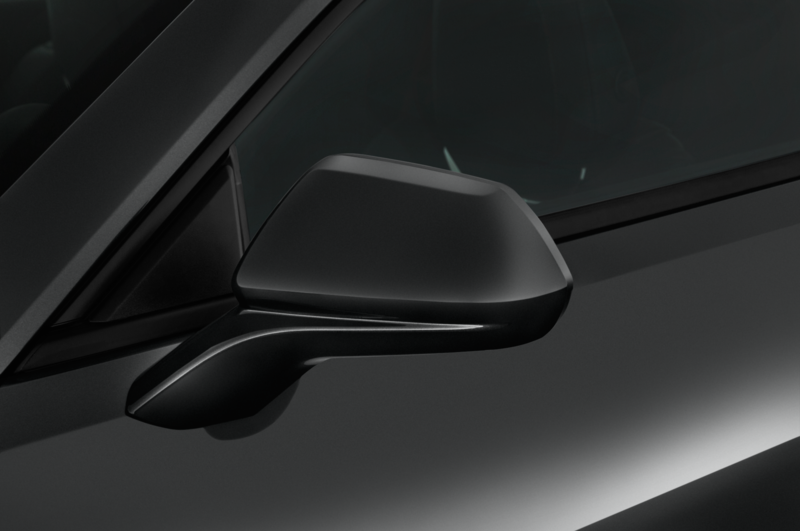 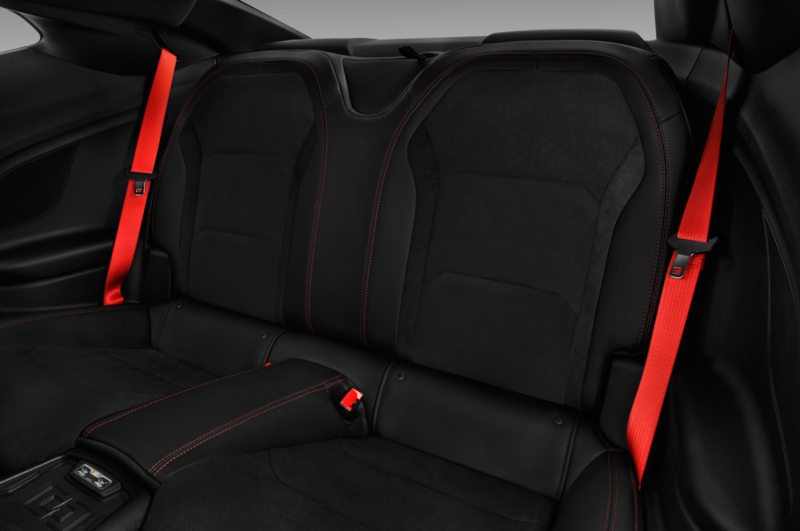 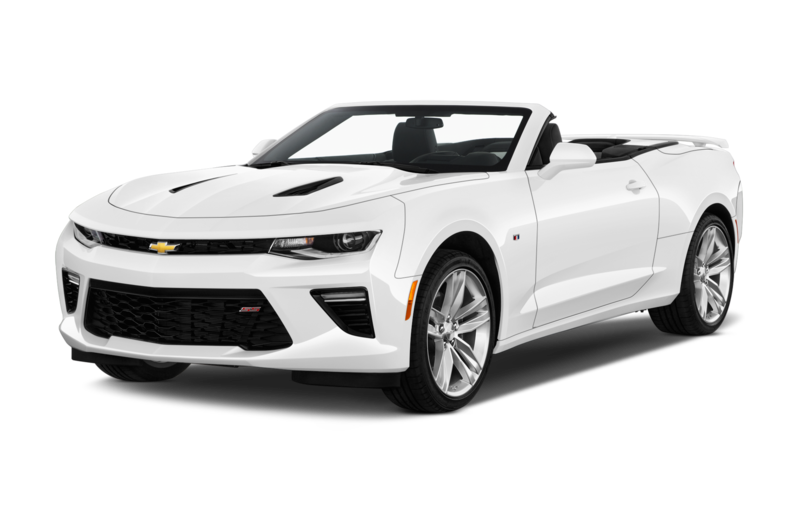 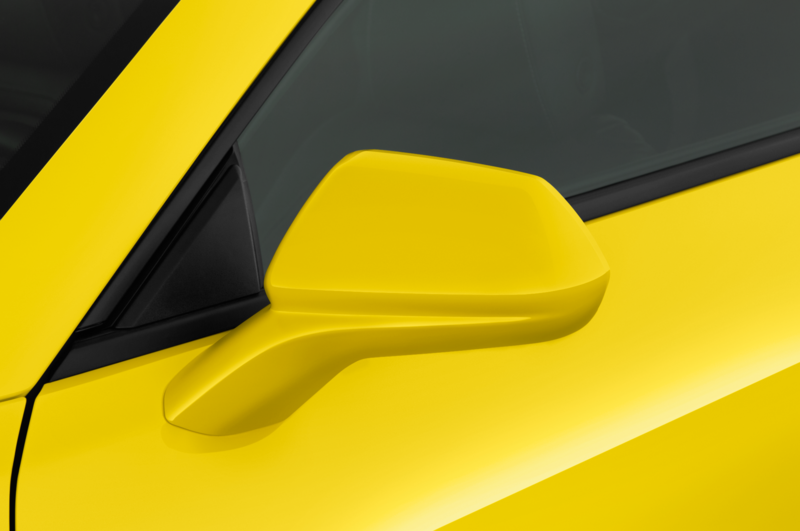 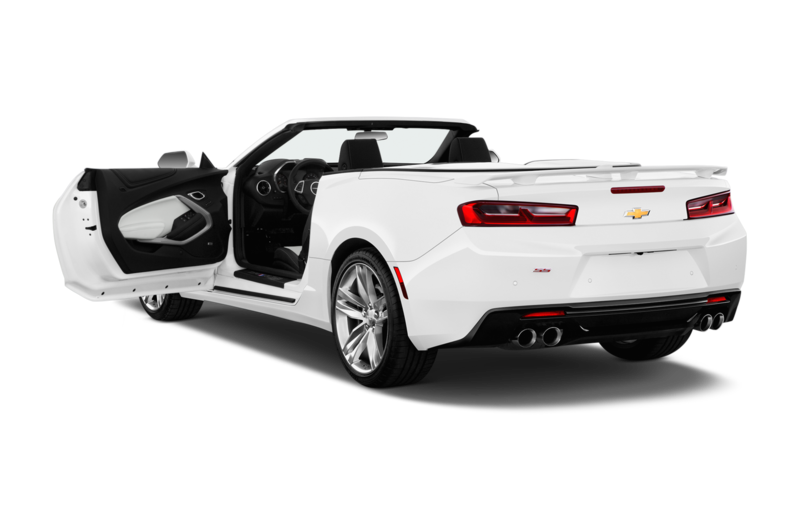 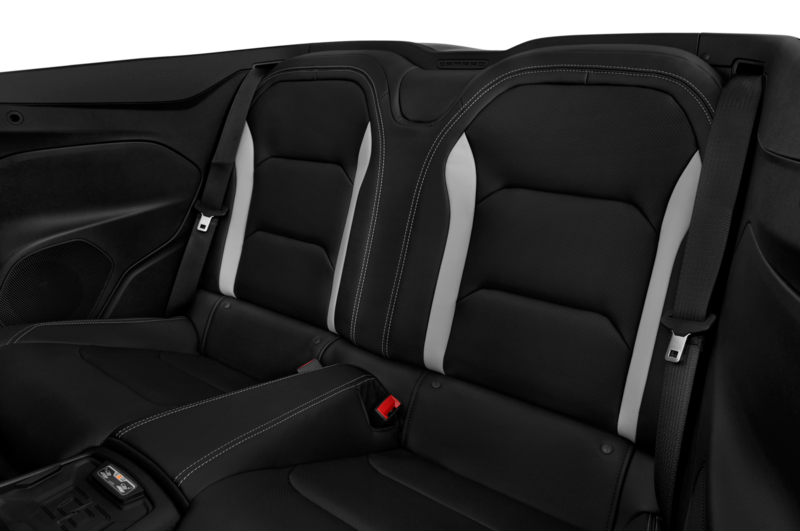 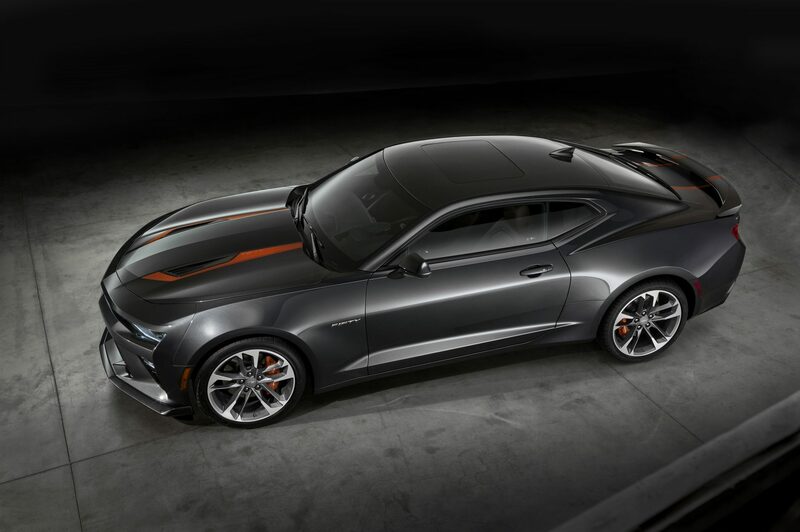 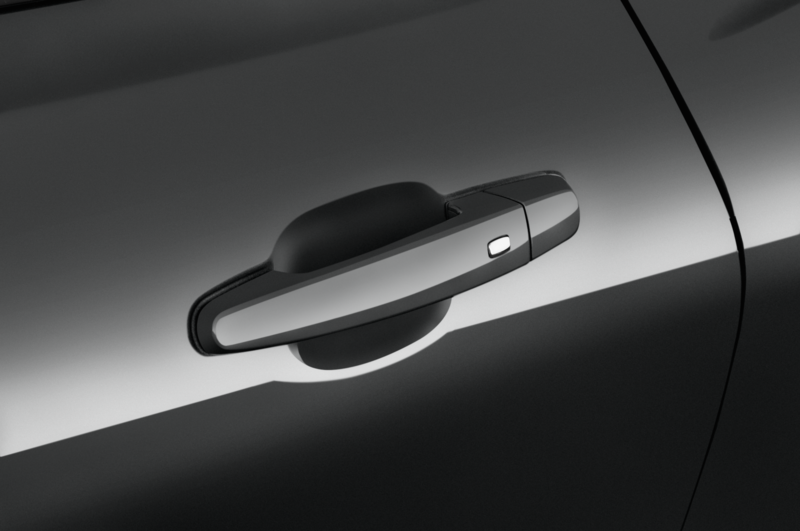 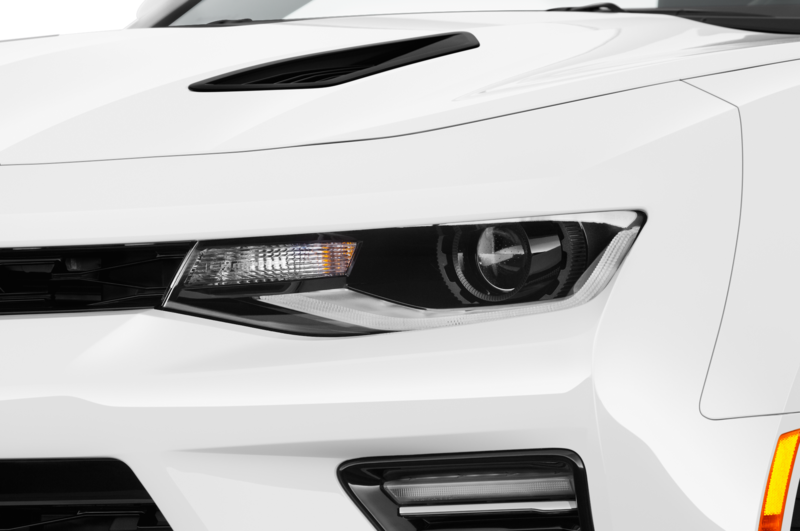 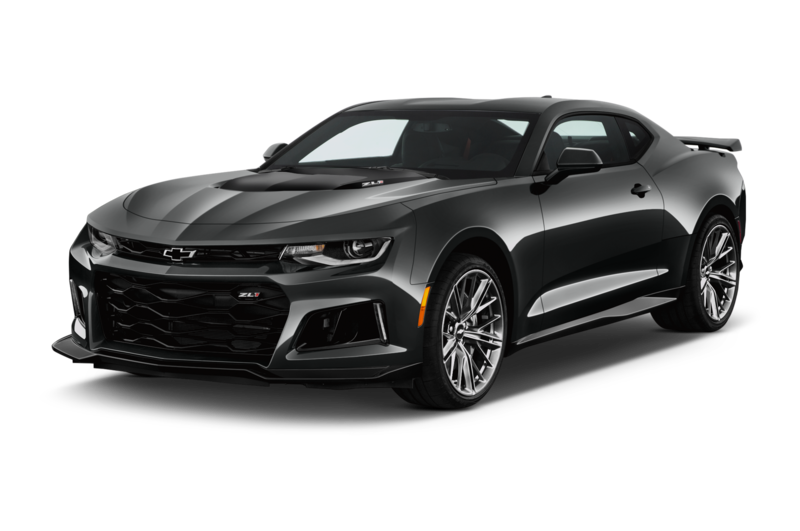 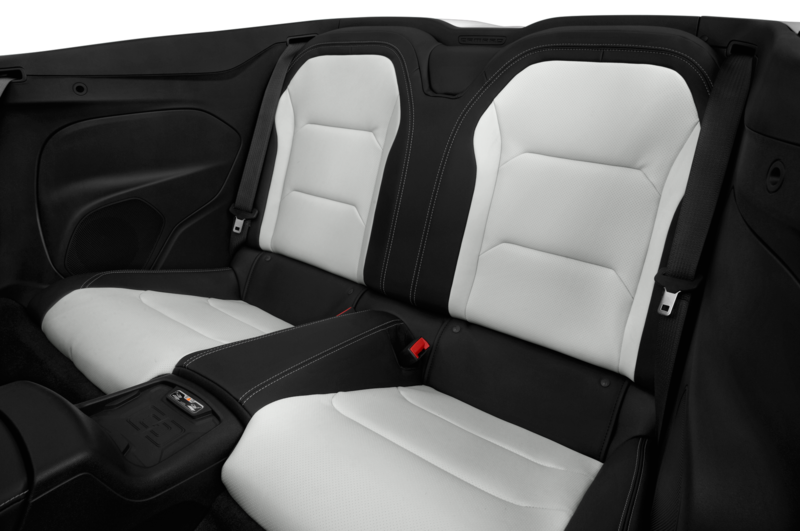 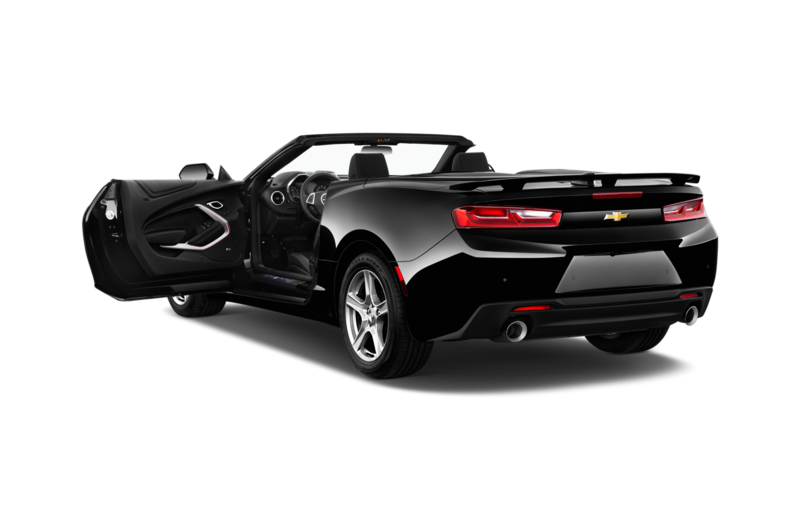 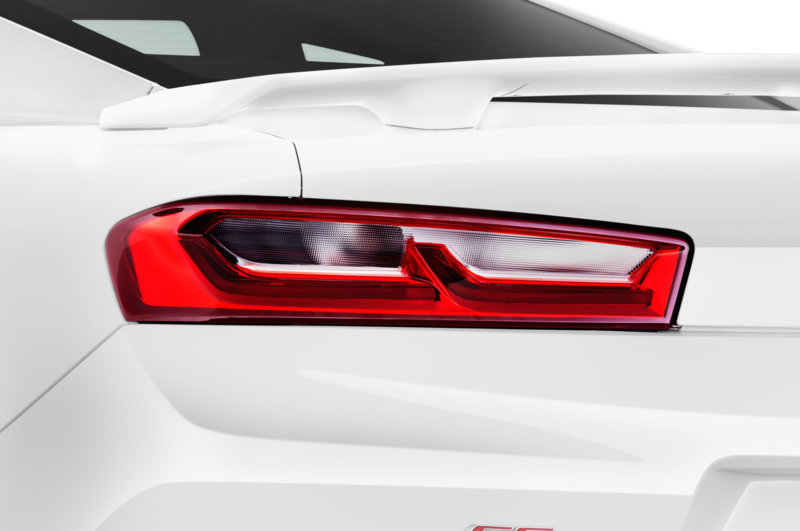 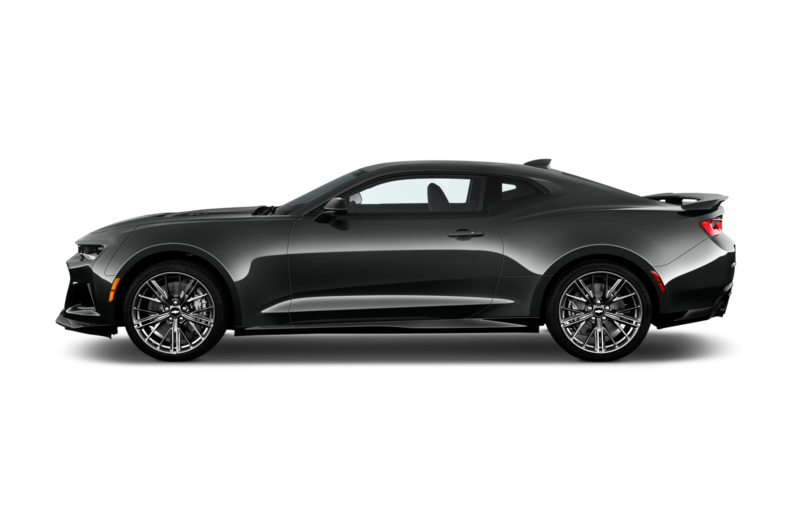 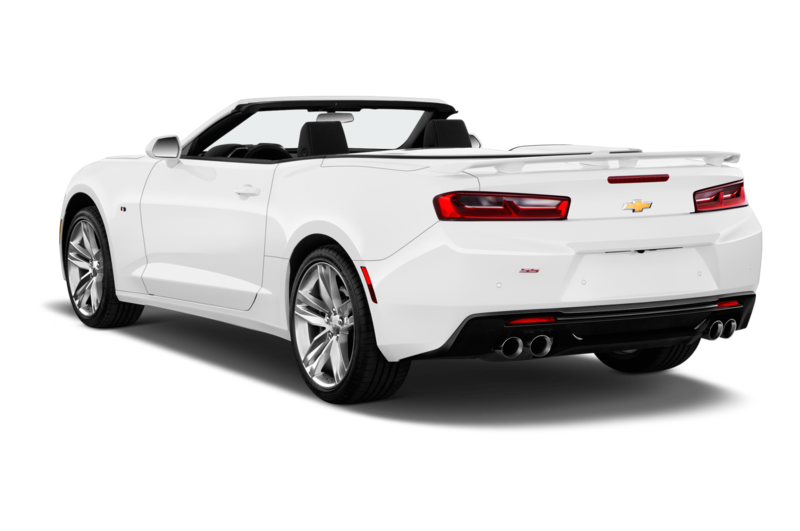 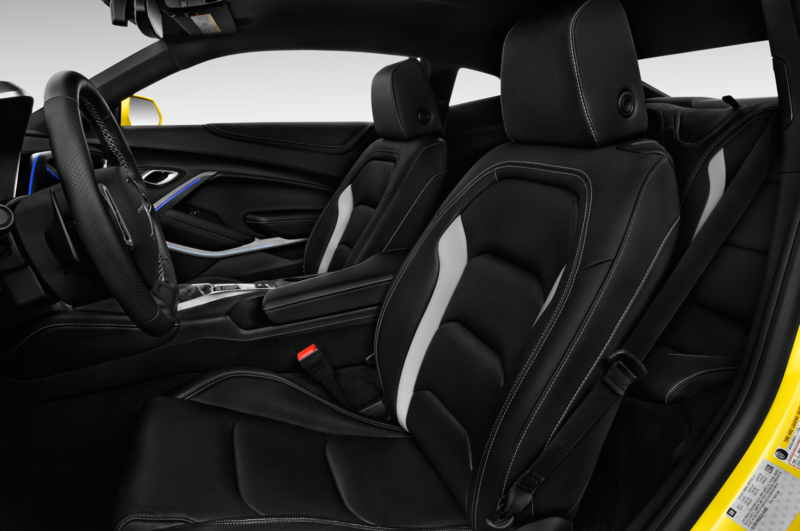 This has been enhanced by a package of no less than 11 structural enhancements to further enhance structural rigidity, various combinations of which are incorporated into both coupe and convertible versions of the Camaro. 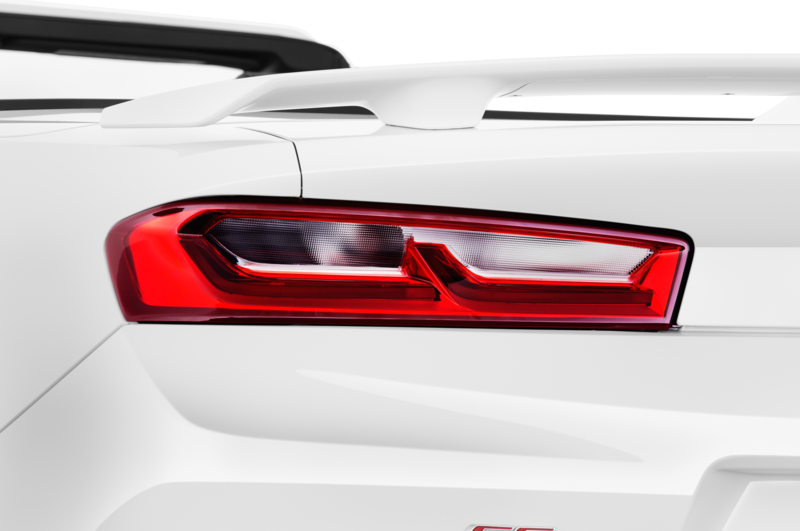 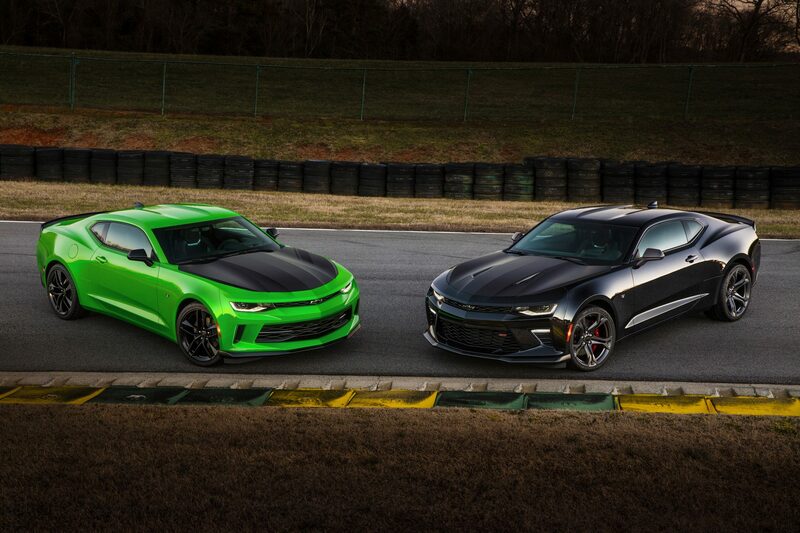 And yet for all this, the 2017 Camaro ZL1 is 200-lb lighter than the 2012-2015 Camaro ZL1. 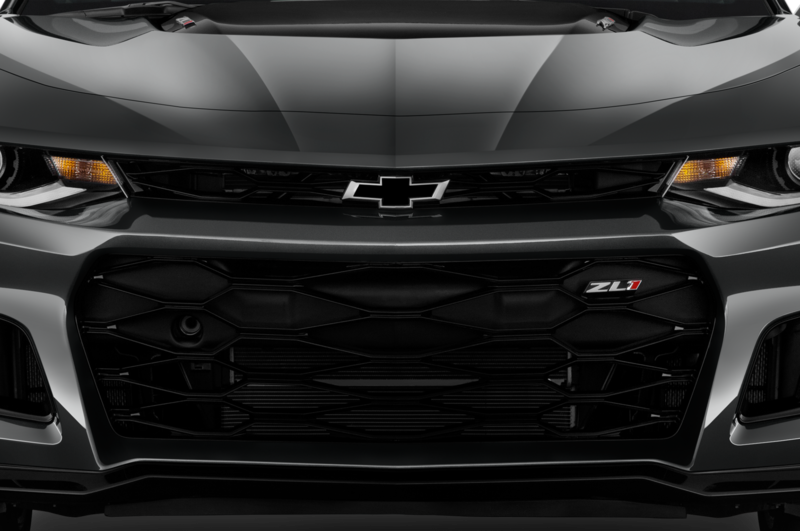 While there was no ZL1 available for us to drive, Chevrolet had a presentation version of the 2017 Camaro ZL1, plus two camouflaged mules that had just returned from testing at the Nurburgring. 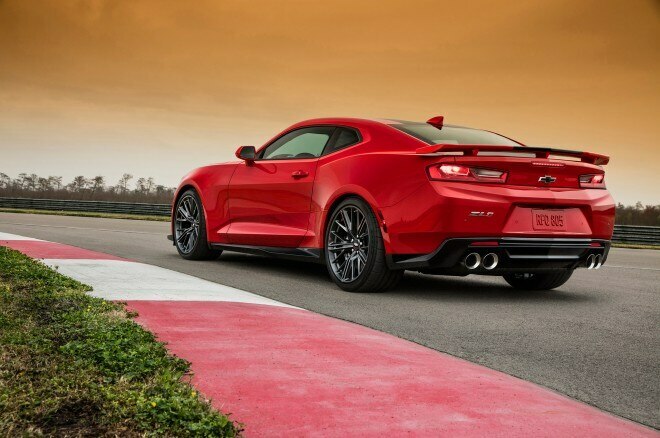 Dan Ammann, GM president, and Mark Reuss, GM executive vice president for global product development, had just returned with the mule cars from the Nürburgring, where they admitted to eating entirely too much fast food from the famous full-service gas station just outside the track’s front gate. 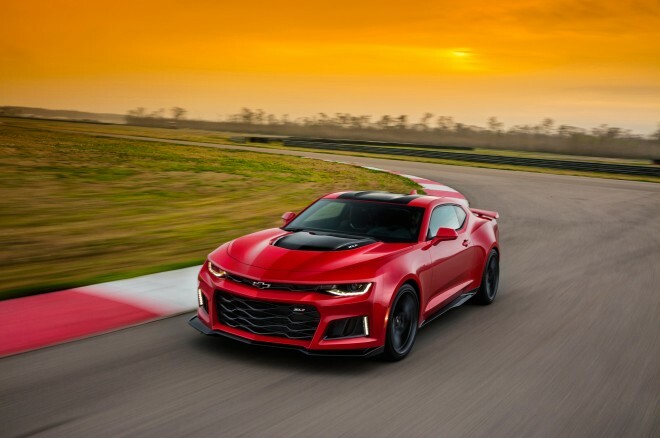 Reuss is just about the only executive anywhere in the car business who isn’t afraid to speak above a whisper, and he’s very forthright in saying that this is a golden age in automotive performance. 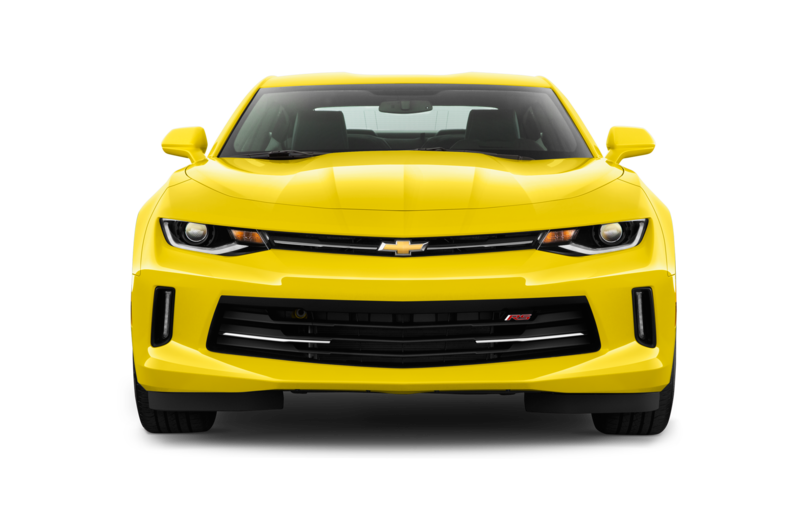 He notes that it’s certainly a golden age in the Camaro business, as the model’s sales in January increased 44 percent over last year. 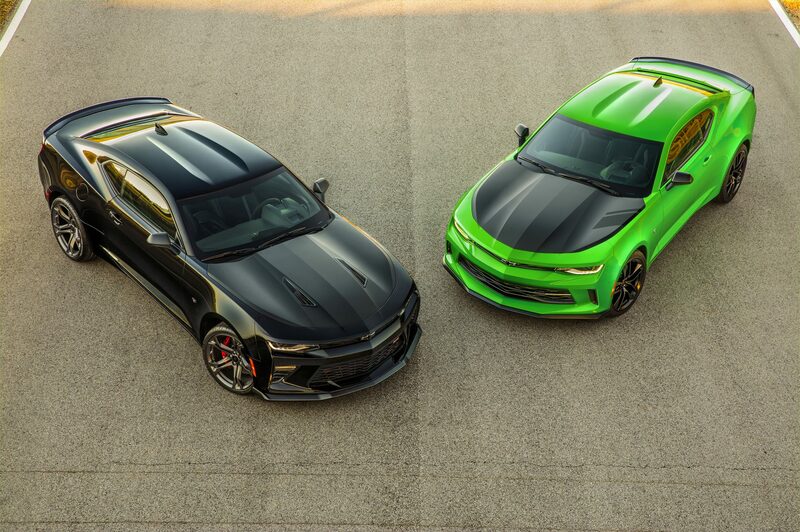 New, track-oriented 1LE packages for both the Camaro V-6 and Camaro SS V-8 will arrive later this year, and he tells us that performance not only sells cars but also attracts the kind of talented personnel you want in a great car company. Reuss also makes no bones about what is responsible for this rebirth at GM. 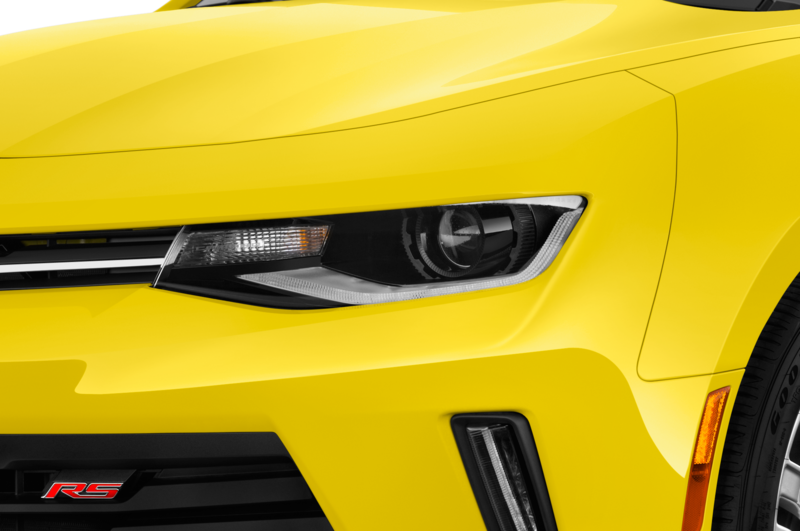 It’s about aspiring to product excellence, he says. 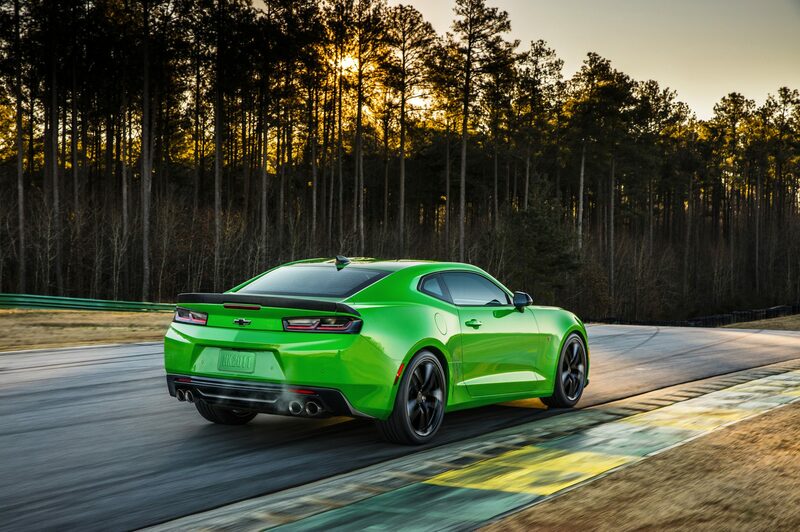 In fact, every Friday, leadership and development teams meet to conduct development drives of new cars and trucks. 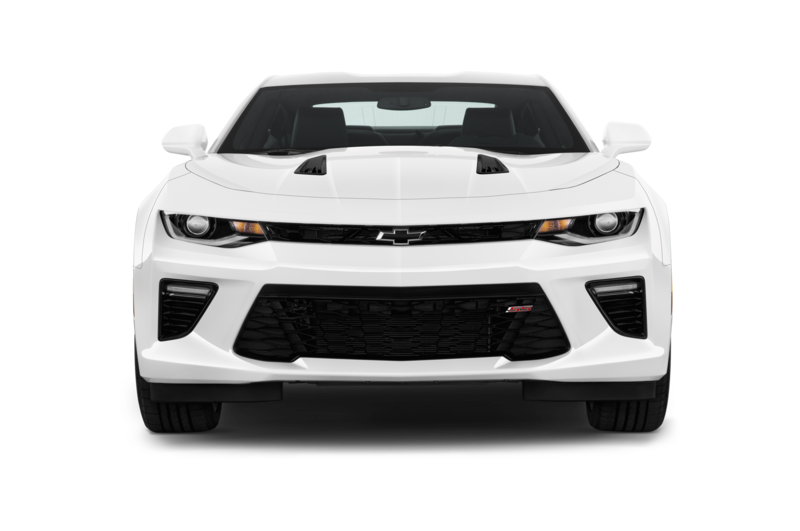 And he has no qualms about the 2017 Camaro ZL1’s merits. 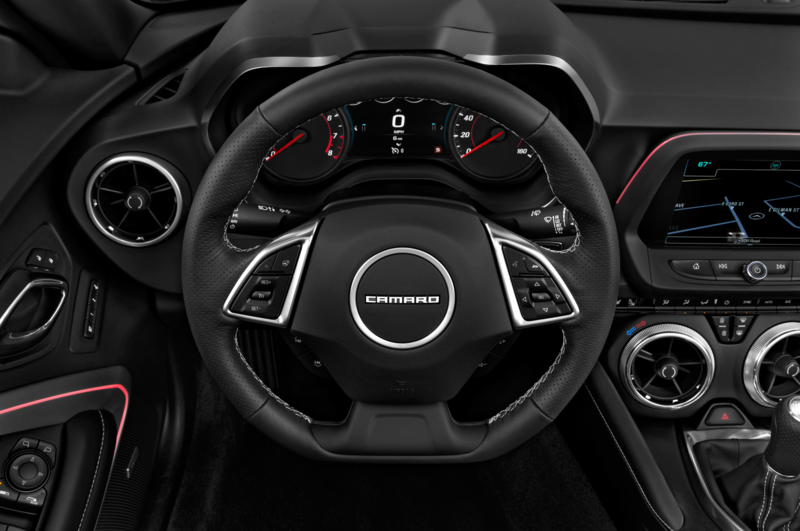 “This is the best Camaro I’ve ever driven,” Reuss says. “It’s a track hero, and yet you can drive it to work every day.” And finally, he notes that the ZL1 is about world-beating performance, not just world-class performance, and he’s willing to put this car against any other 2+2-style car on any track, on any day. 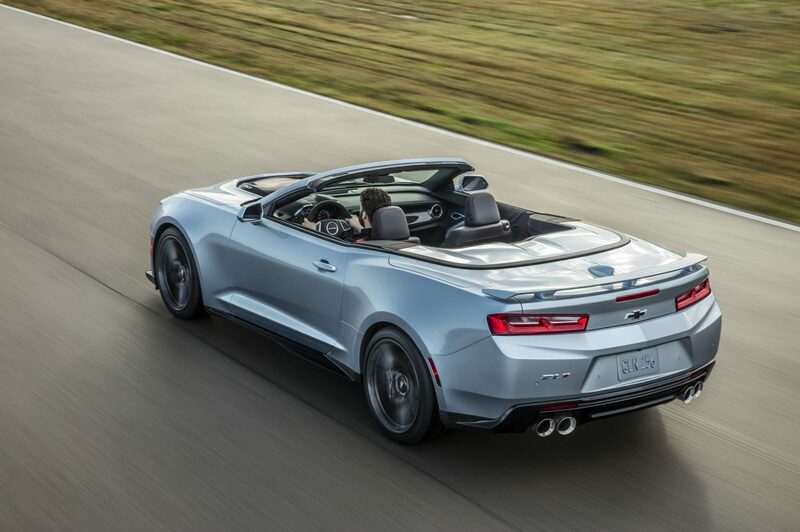 You can’t help but love such Detroit-style defiance. As the 2017 Chevrolet Camaro ZL1 shows us, there are still plenty of people who believe that the key to the automotive corporation business is to be really good at the car business.